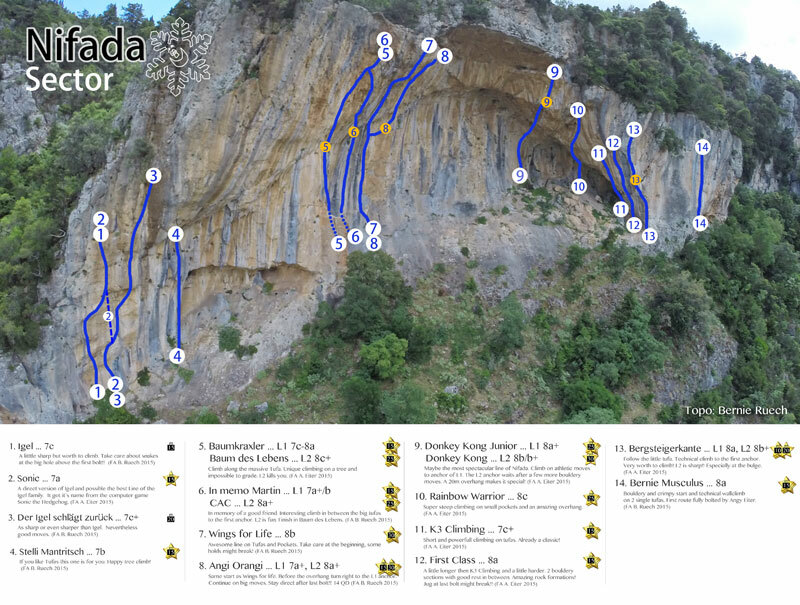 I want to climb in Leonidio! 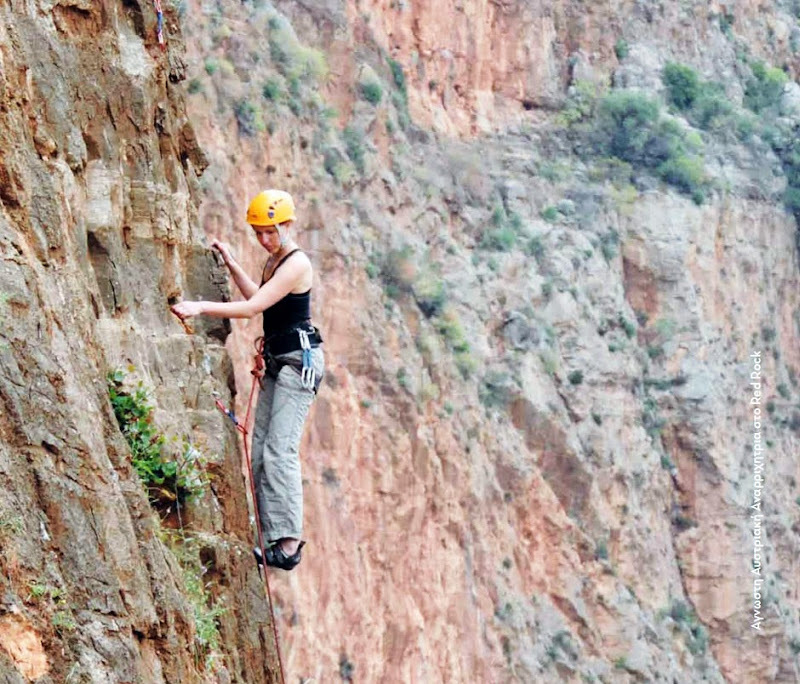 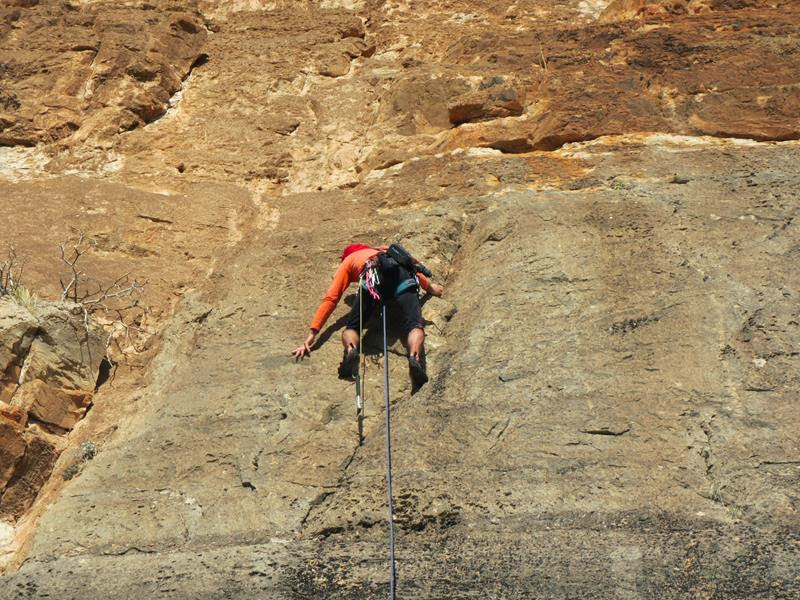 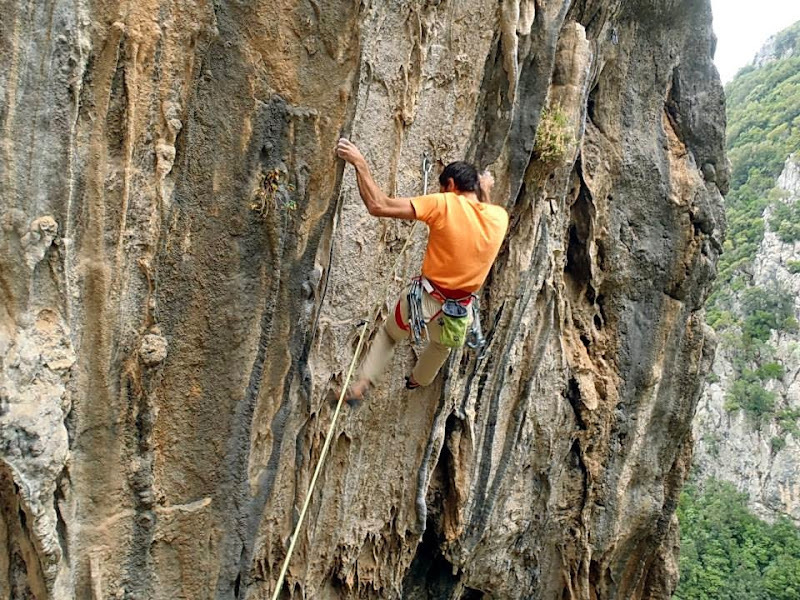 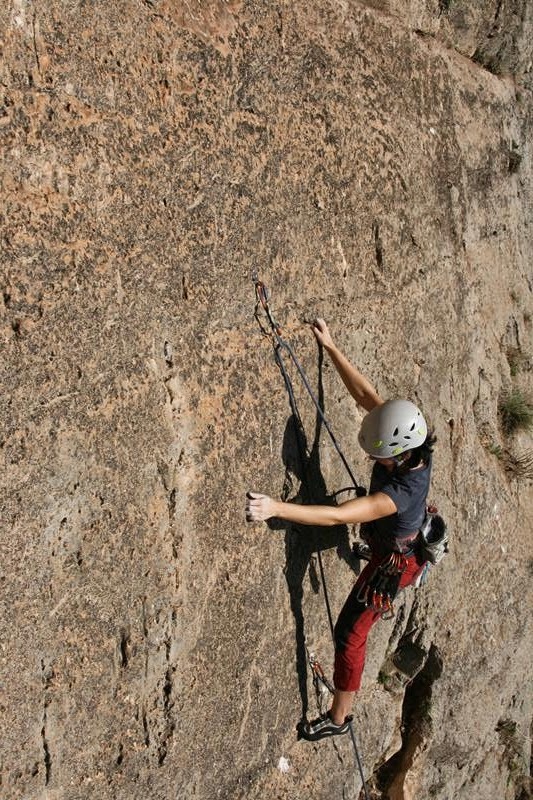 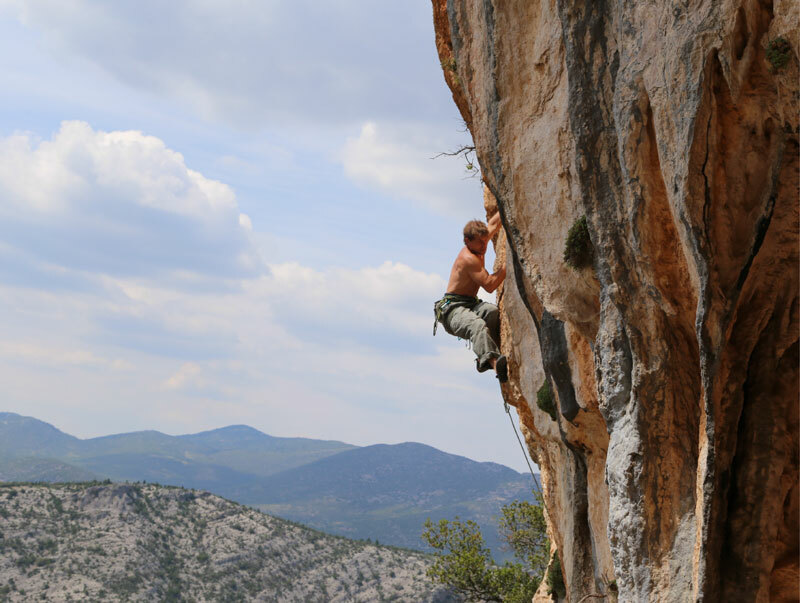 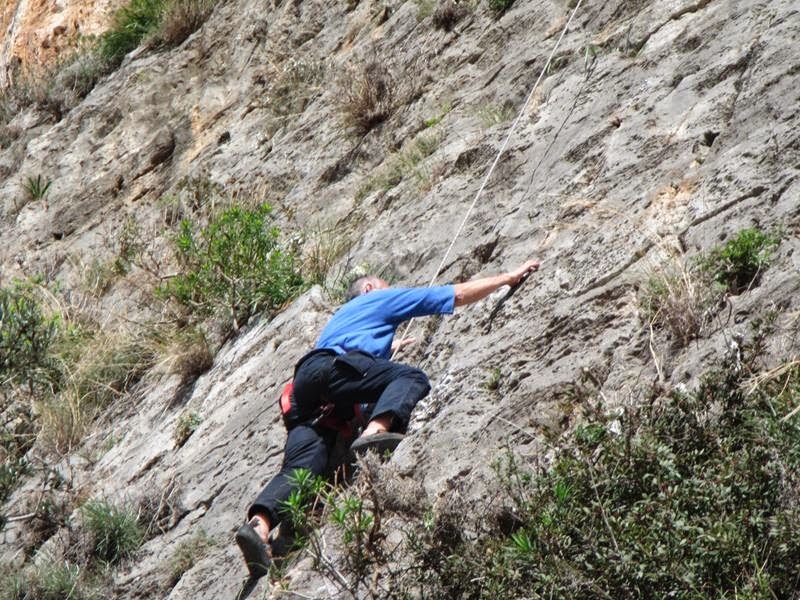 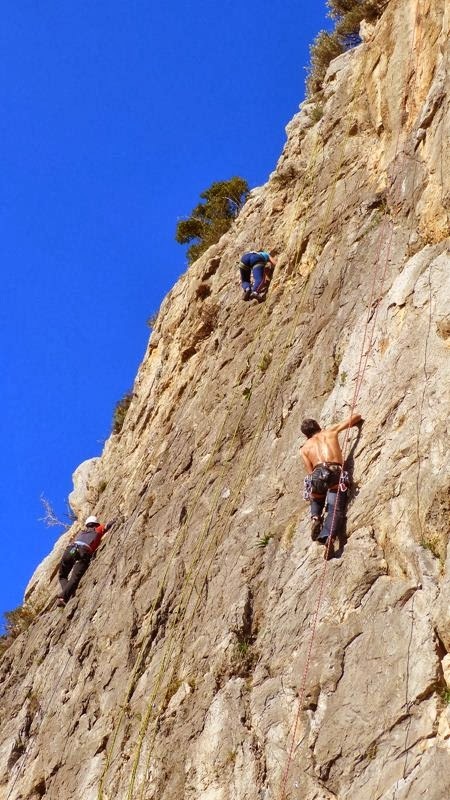 Climbing means moving on a vertical or sloping hard surface, using special techniques and movements. 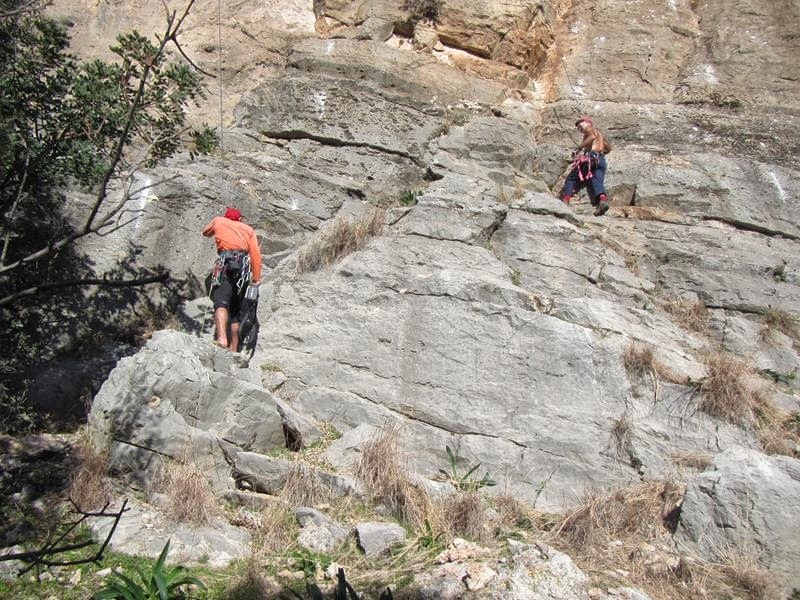 There are three types of climbing. 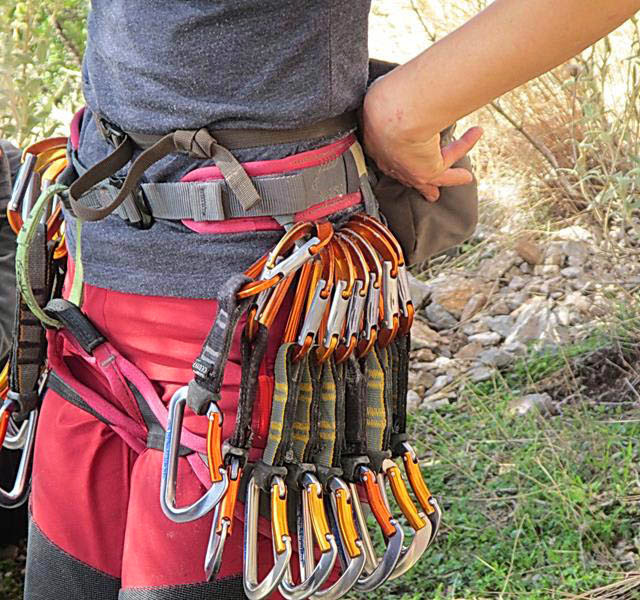 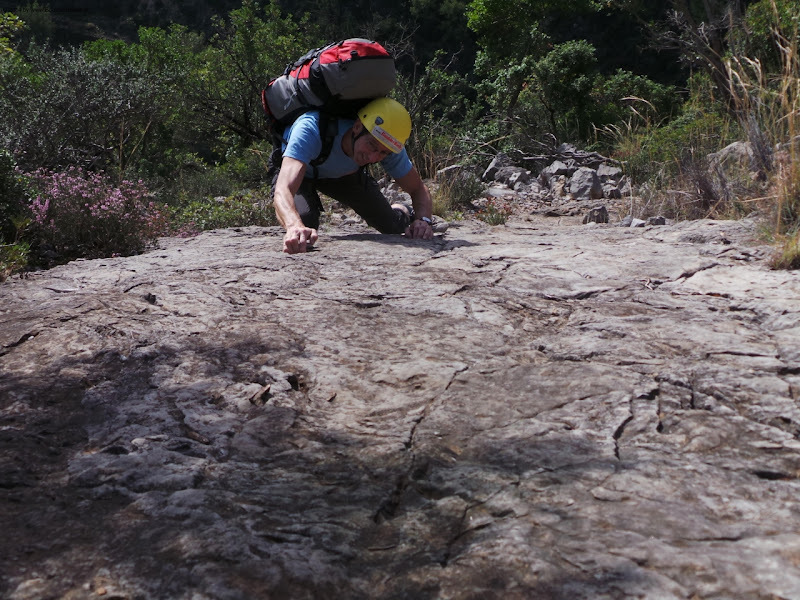 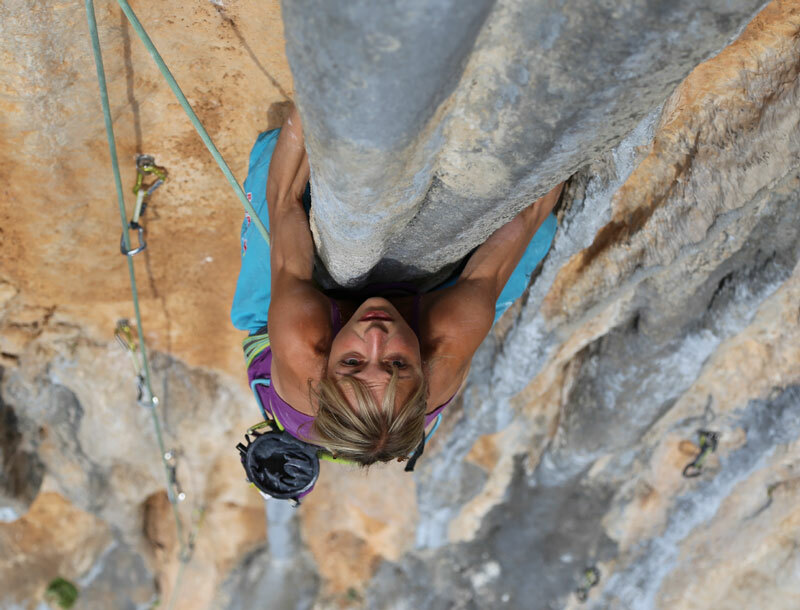 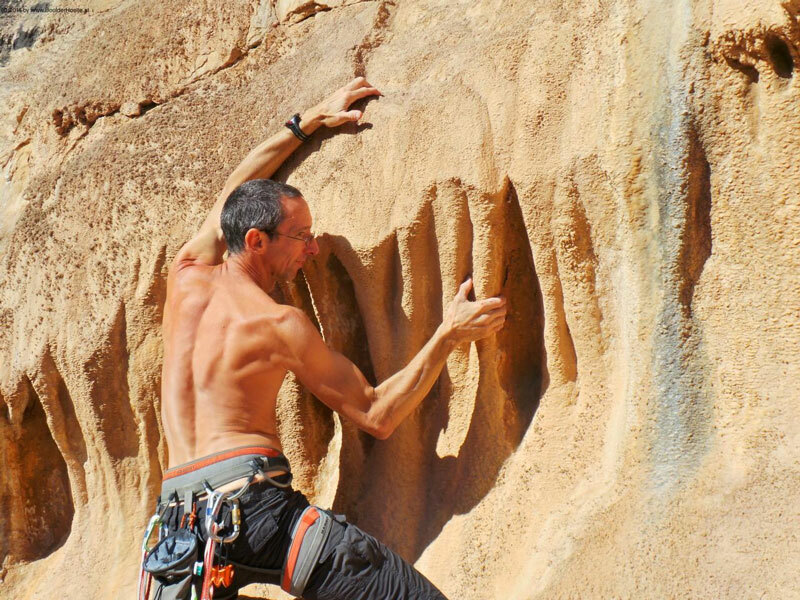 The “aid climbing” which is done with rules, special movements, protection and the use of rope, “bouldering” which is climbing on short low routes without the use of the safety rope having as protection a cushioned bouldering pad and finally “solo climbing” which is done without protection measures. 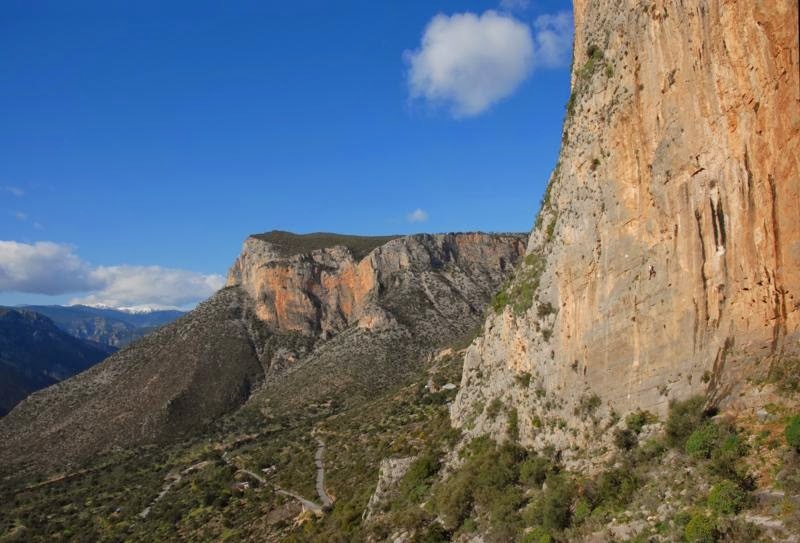 Undoubtedly Leonidio is inextricably linked to the impressive 250m high slope that lies imposingly over the city centre. 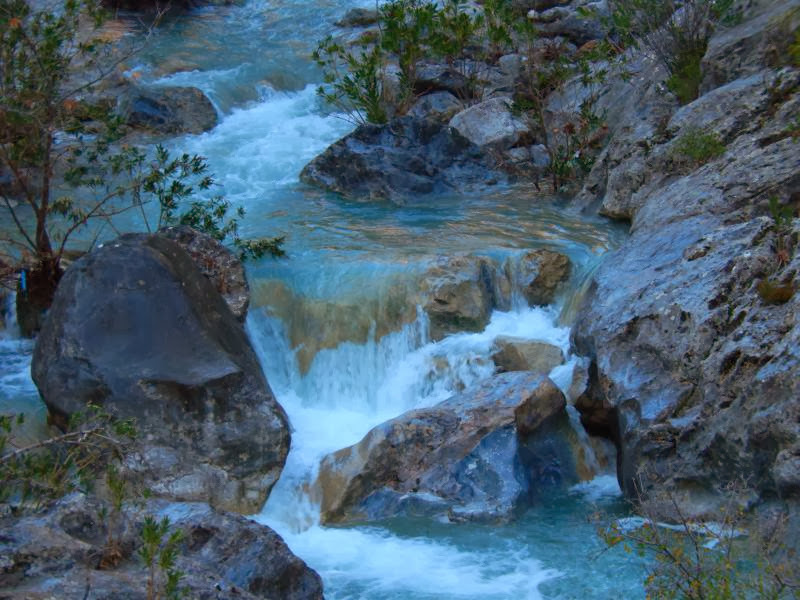 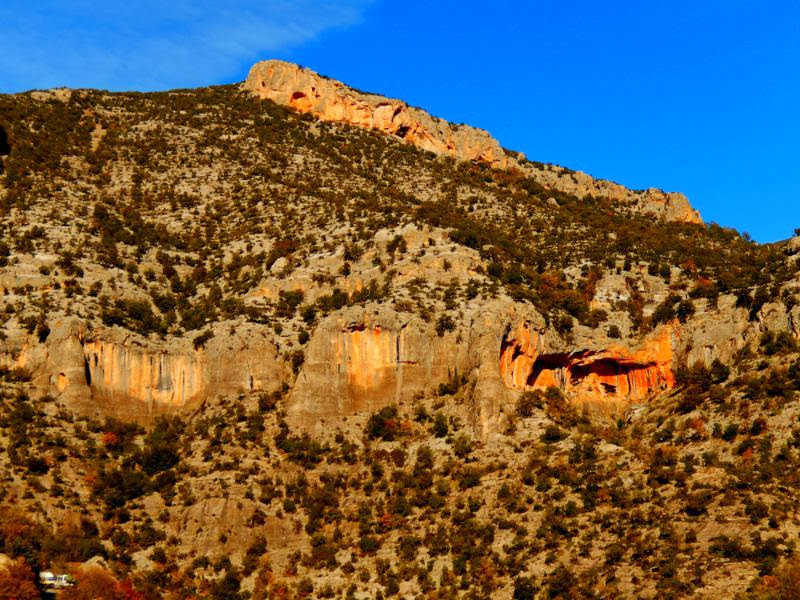 The Red Rock, as locals call it, inevitably attracts all eyes. 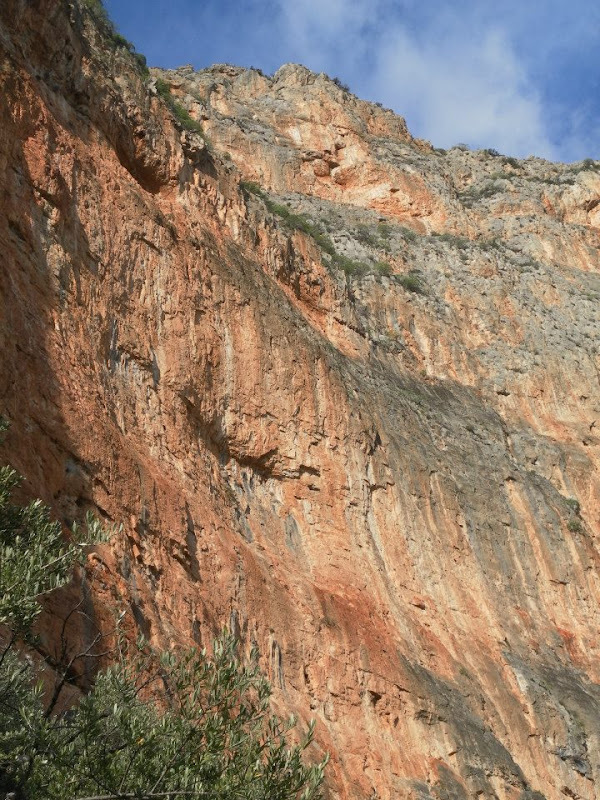 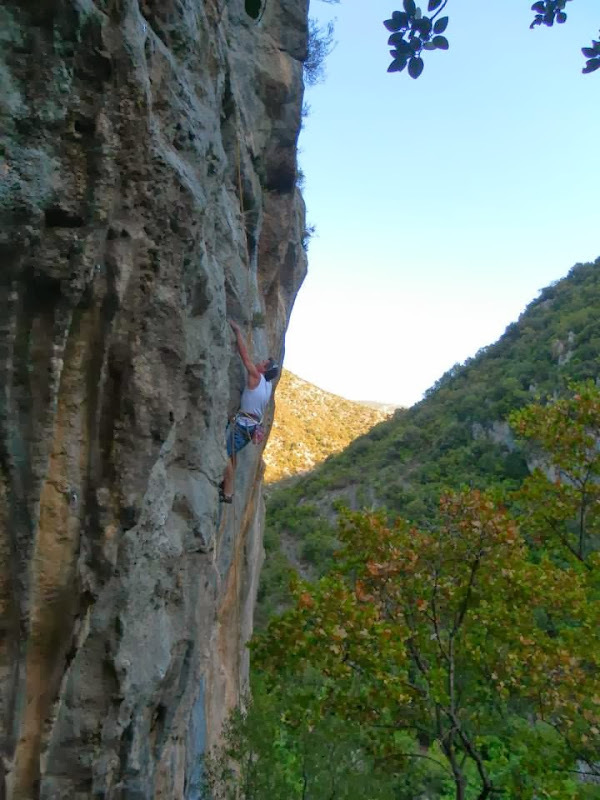 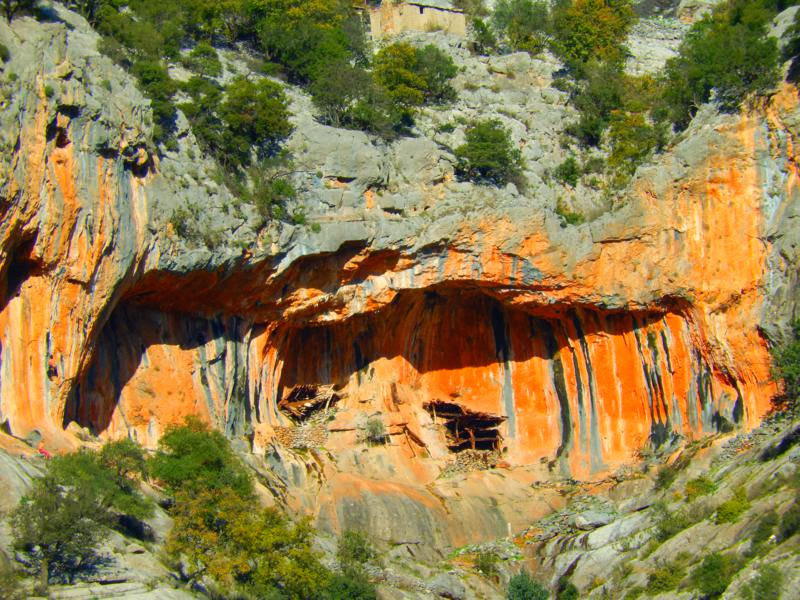 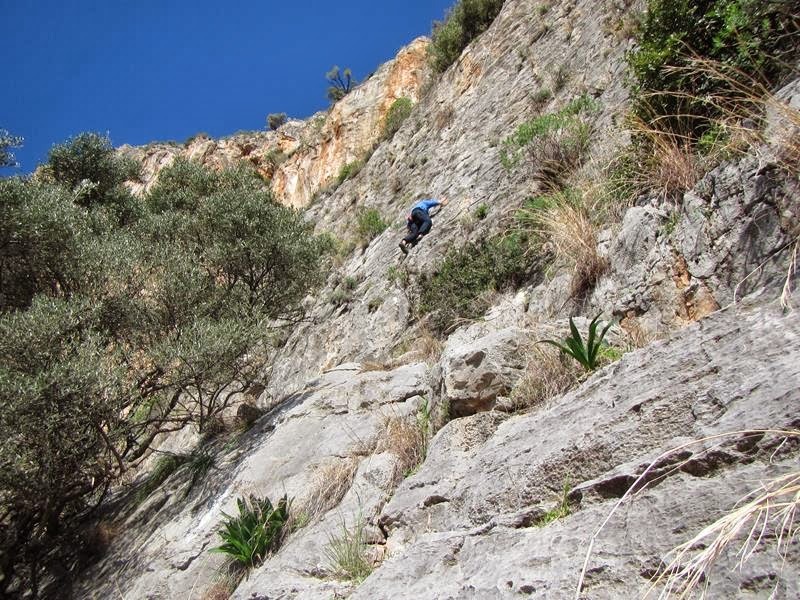 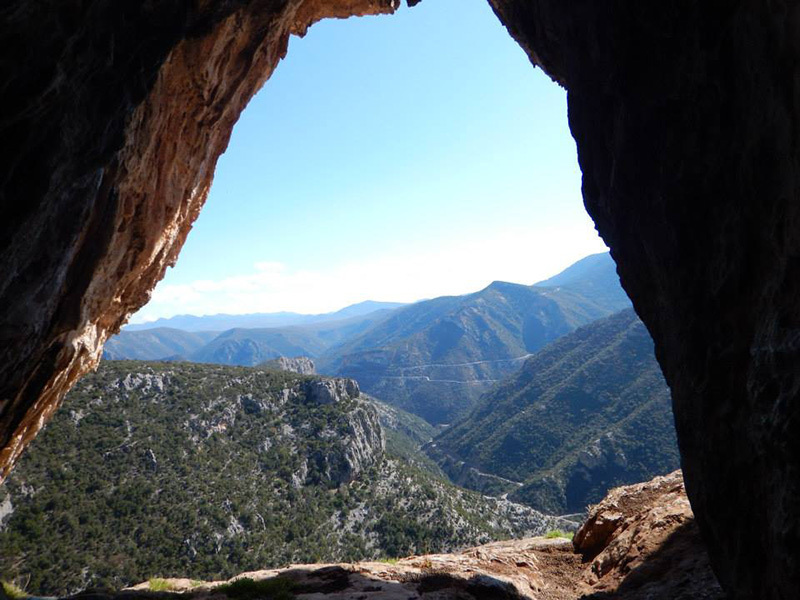 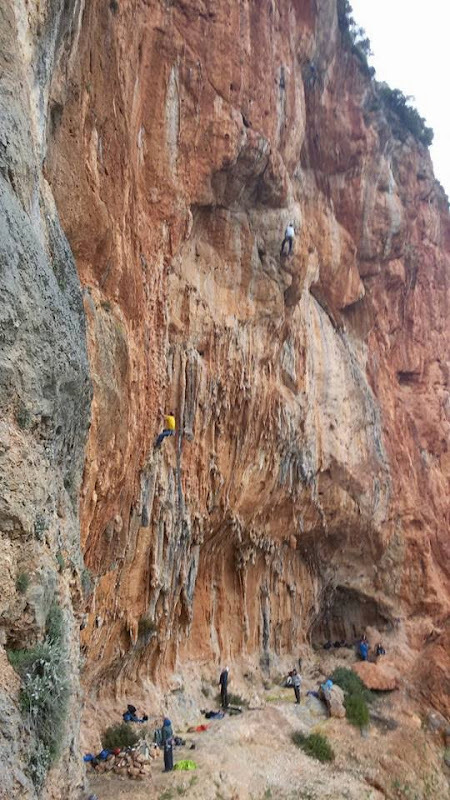 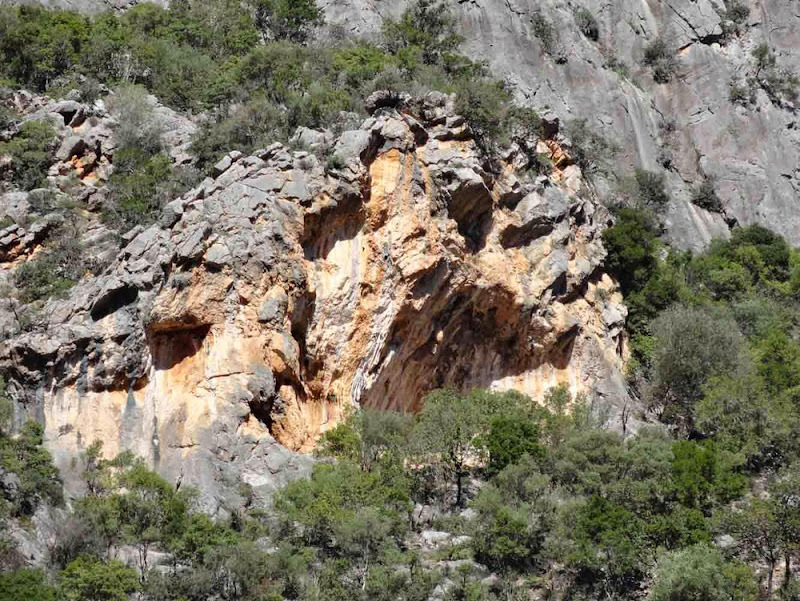 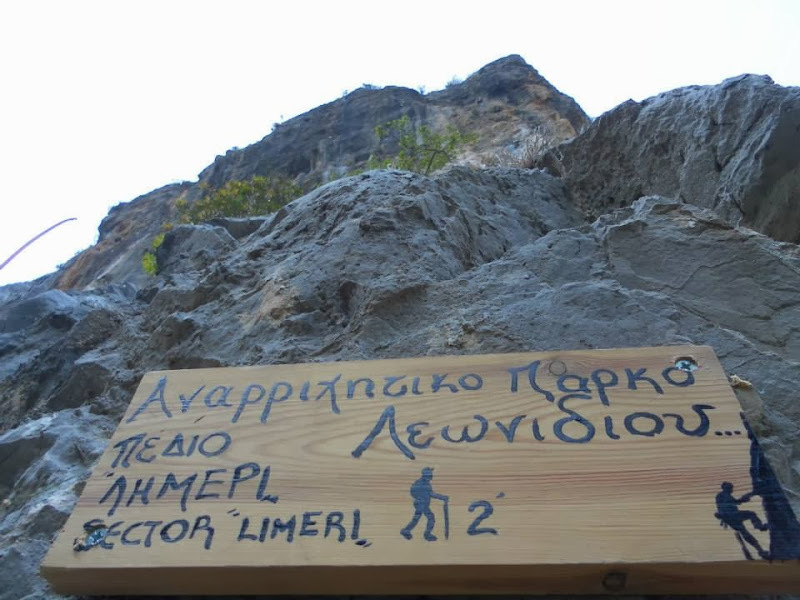 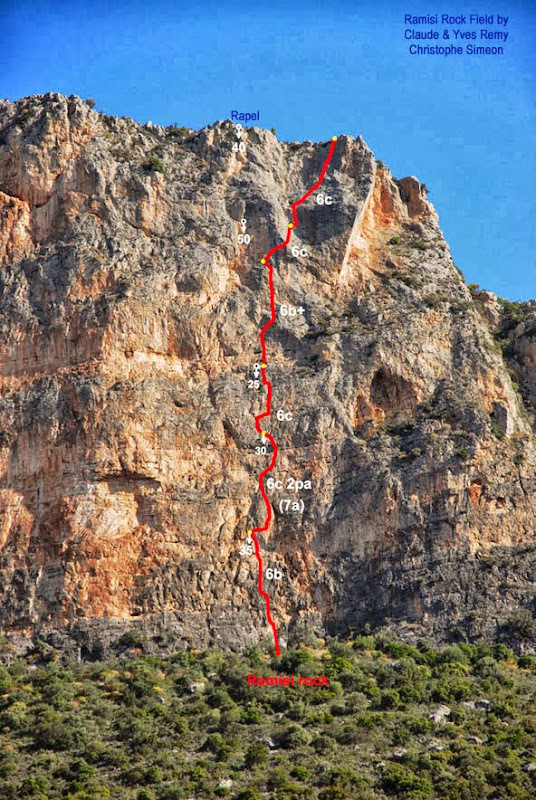 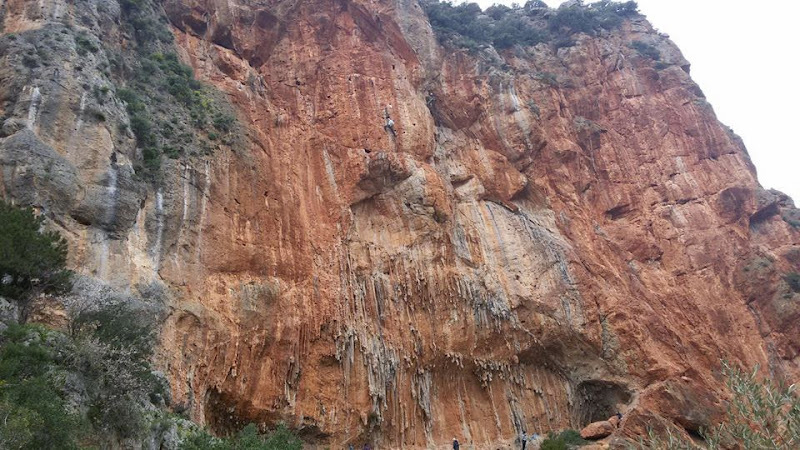 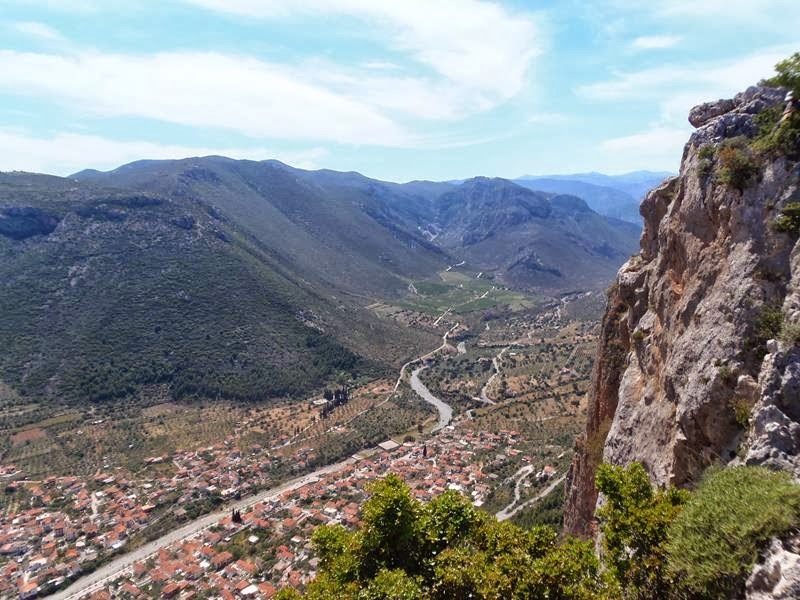 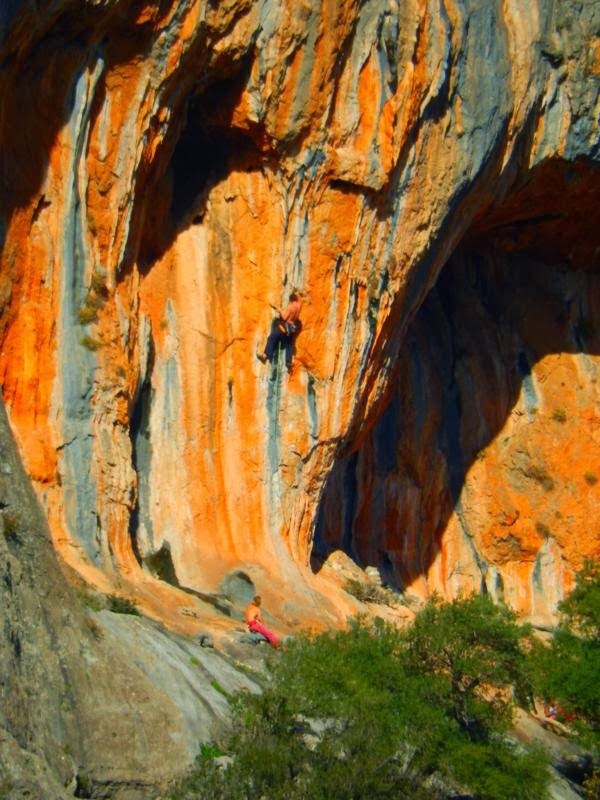 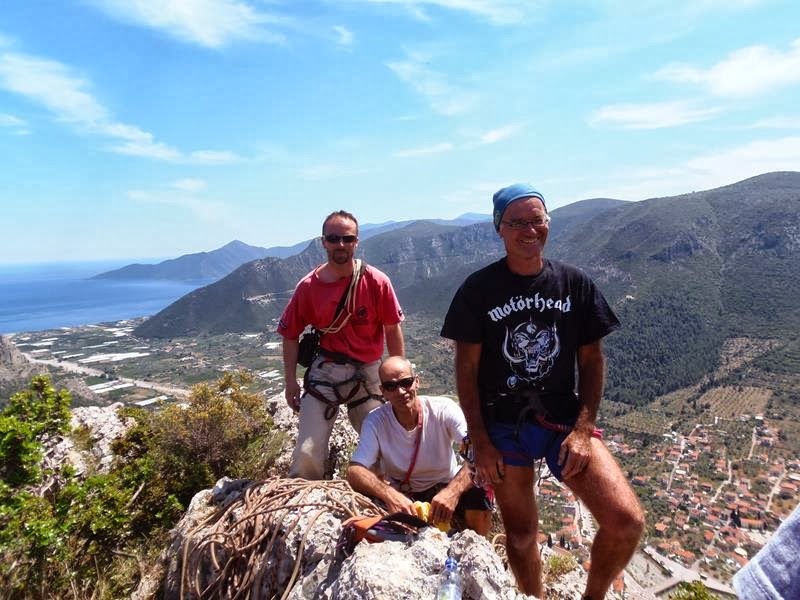 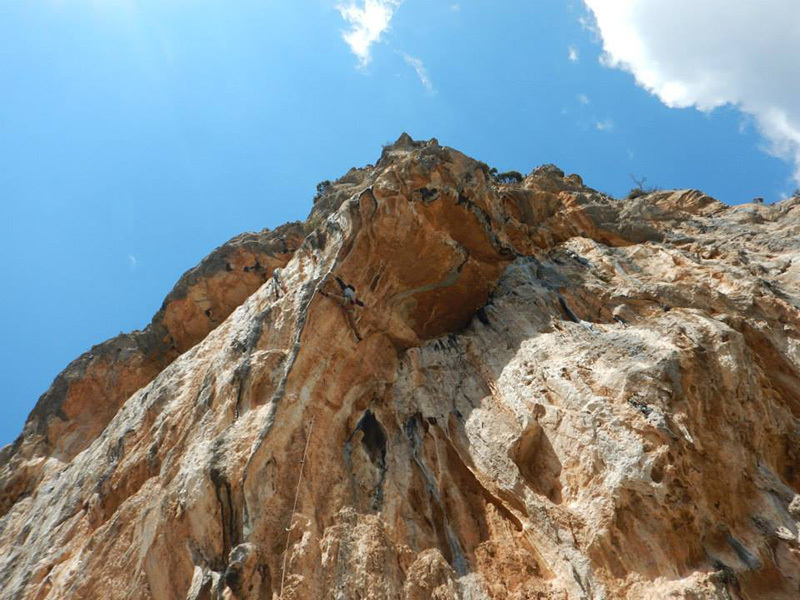 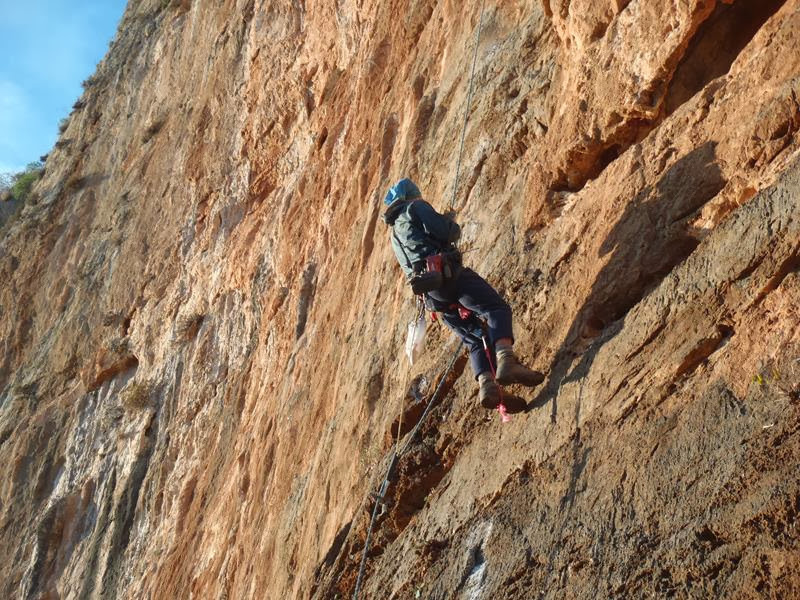 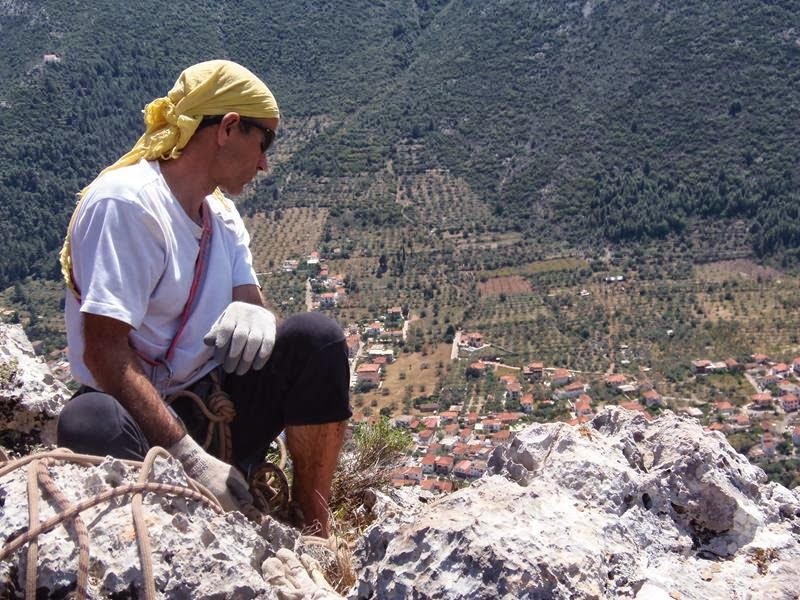 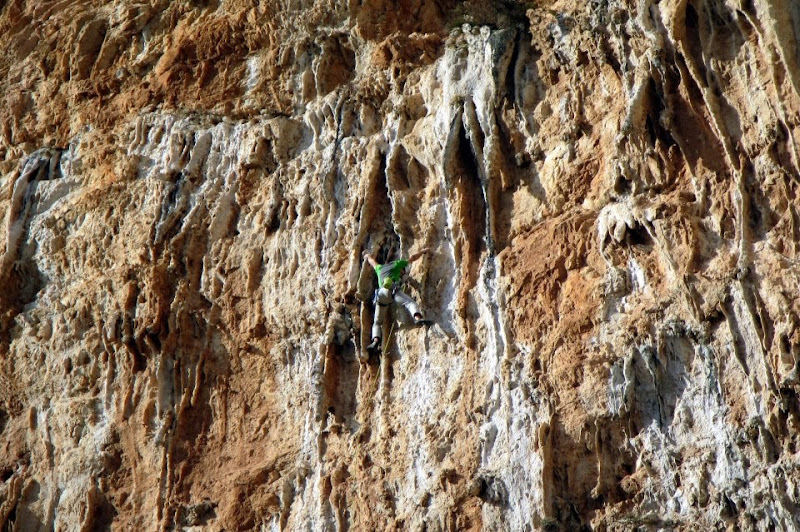 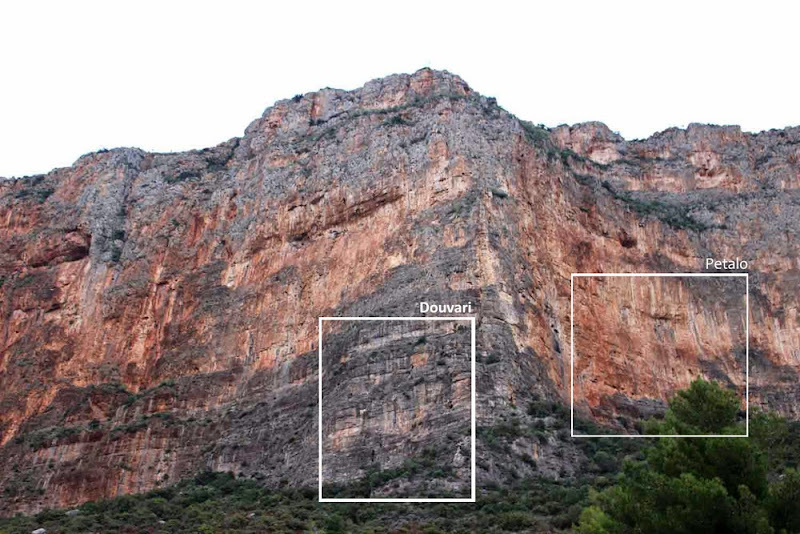 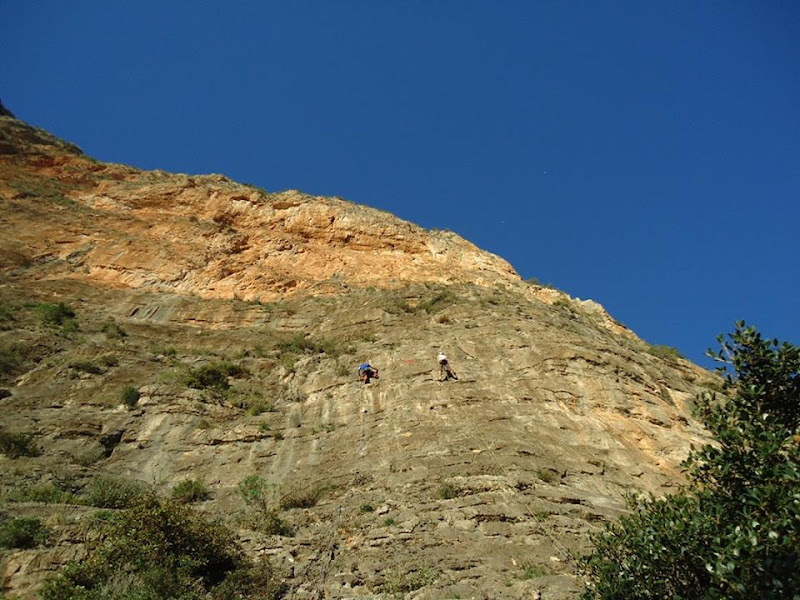 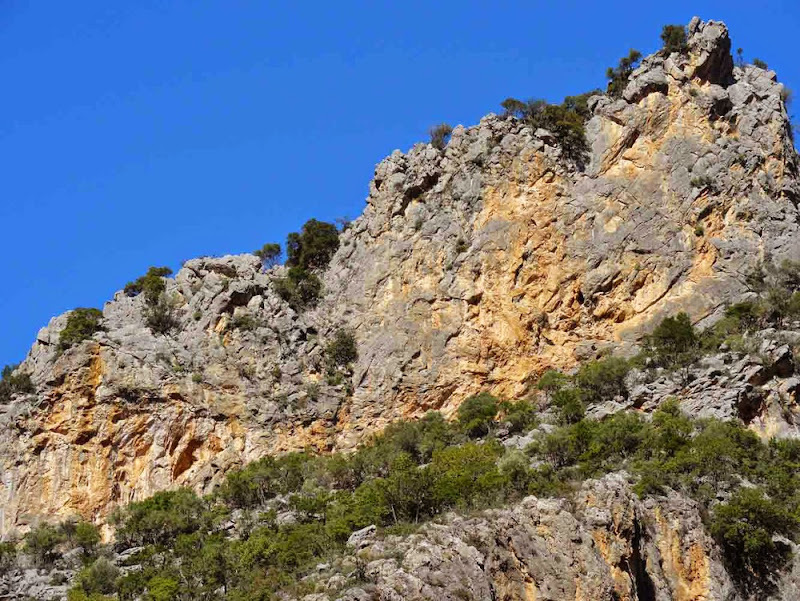 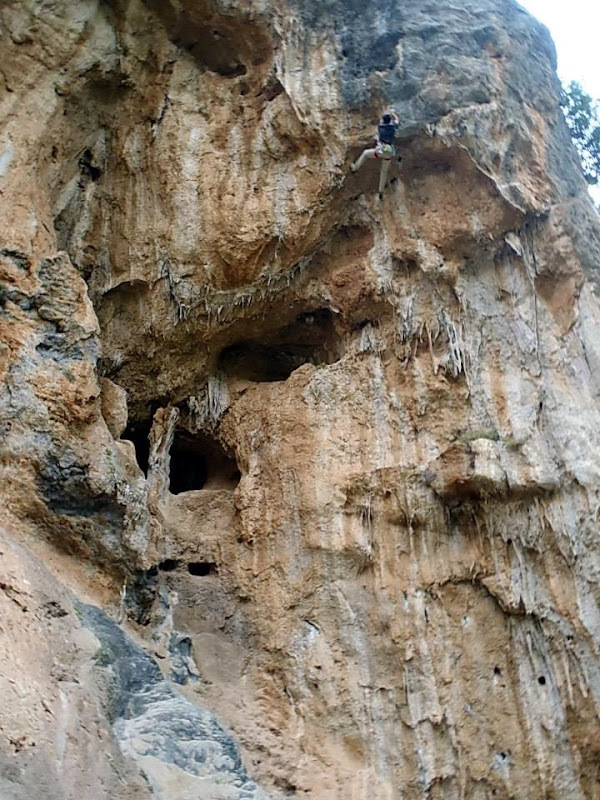 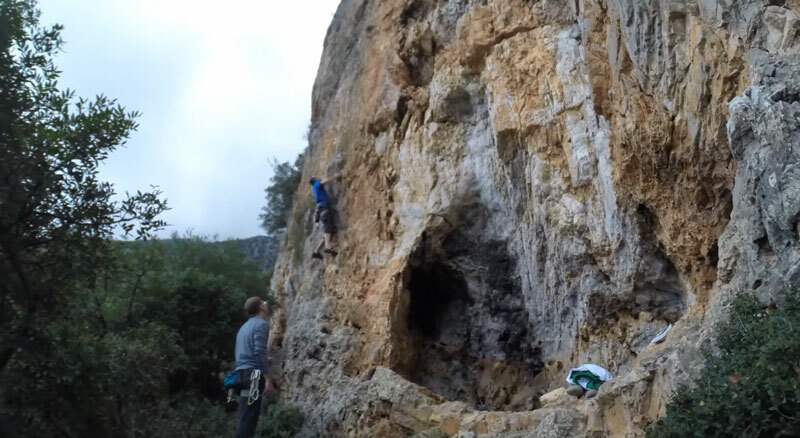 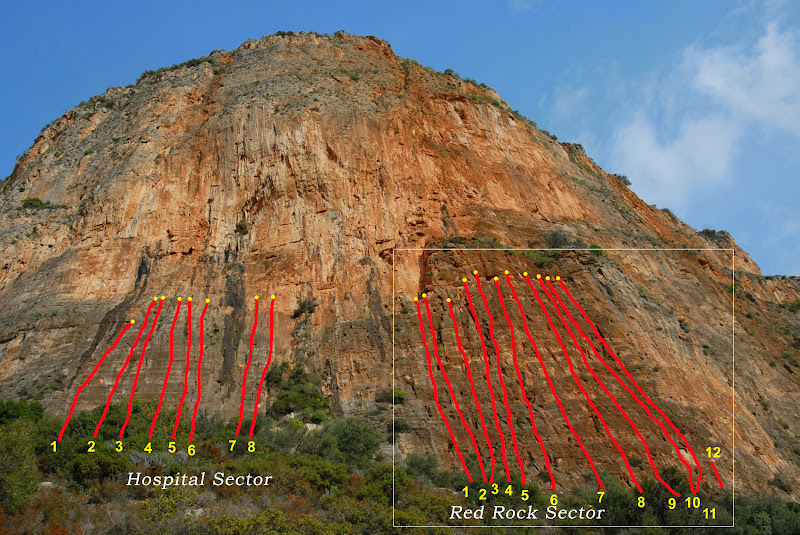 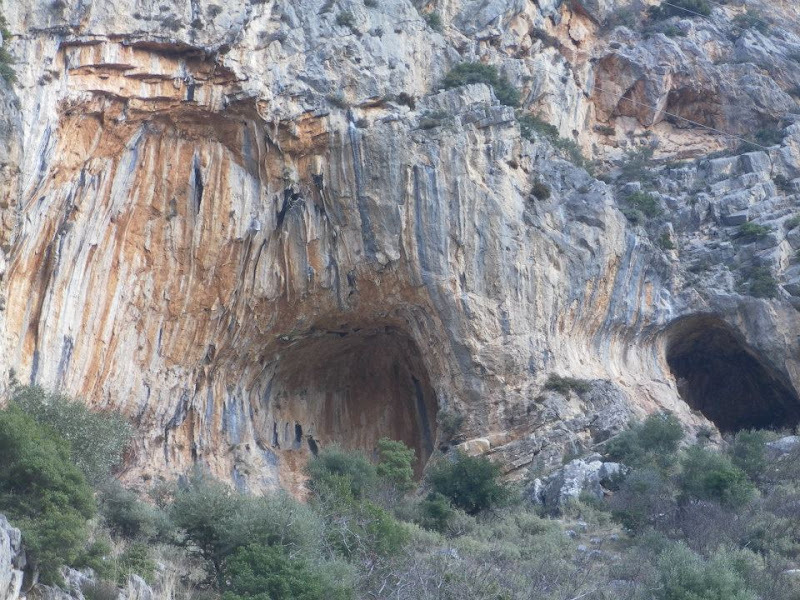 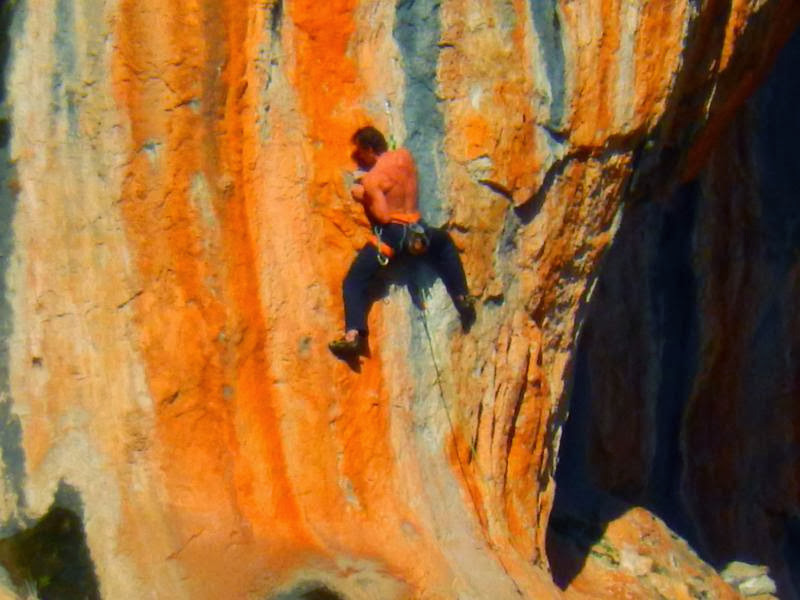 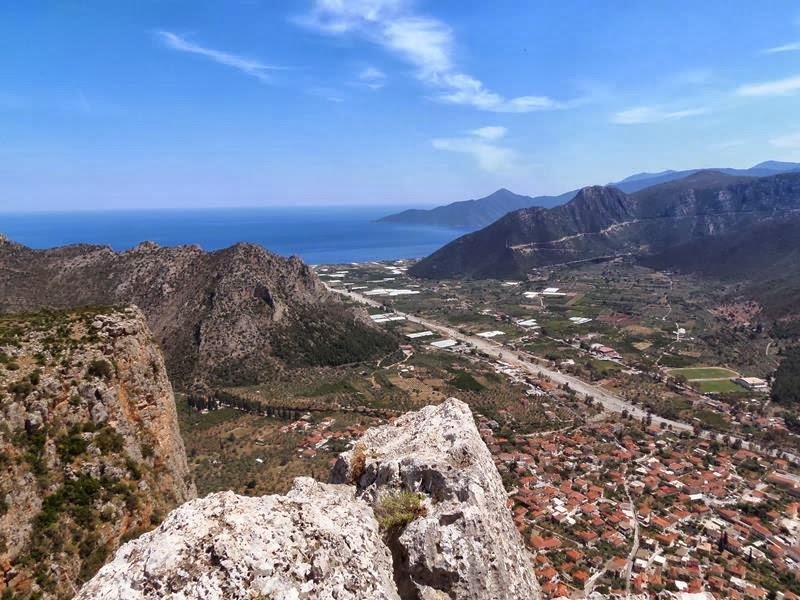 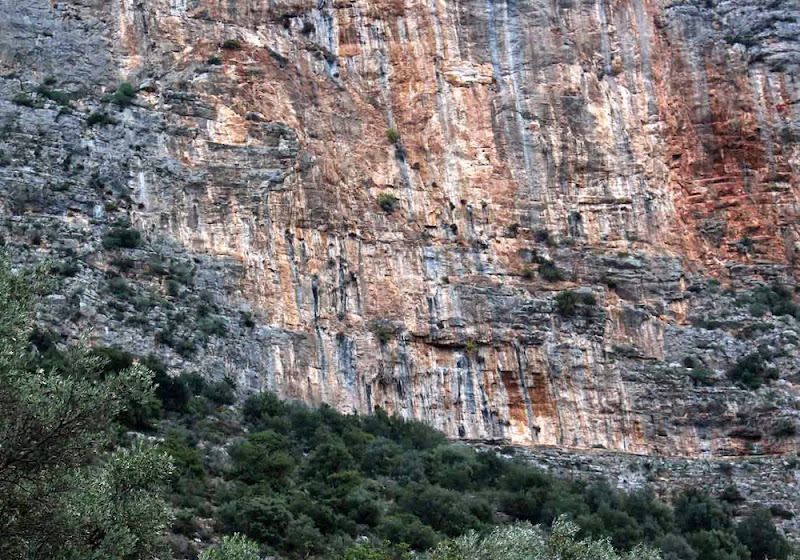 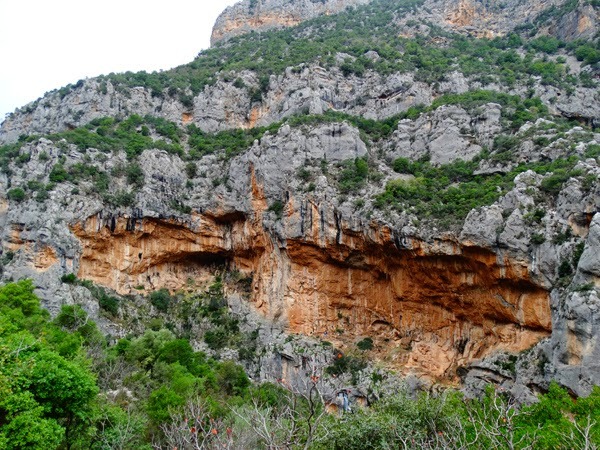 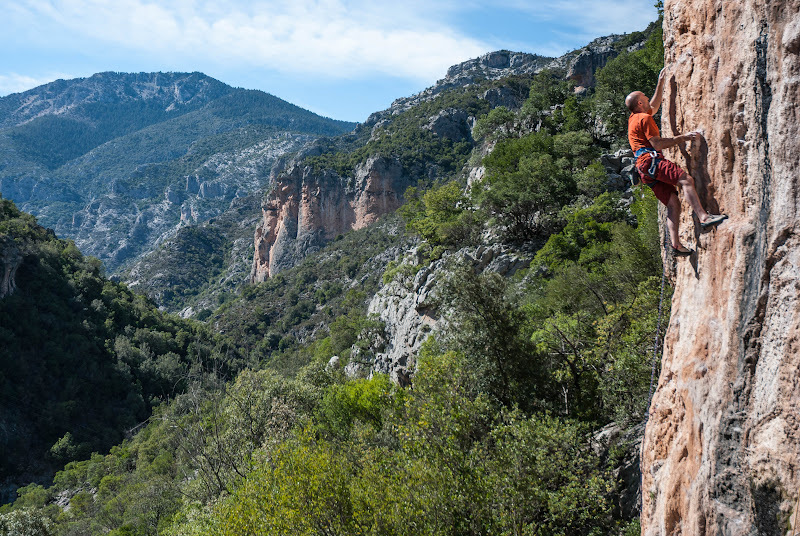 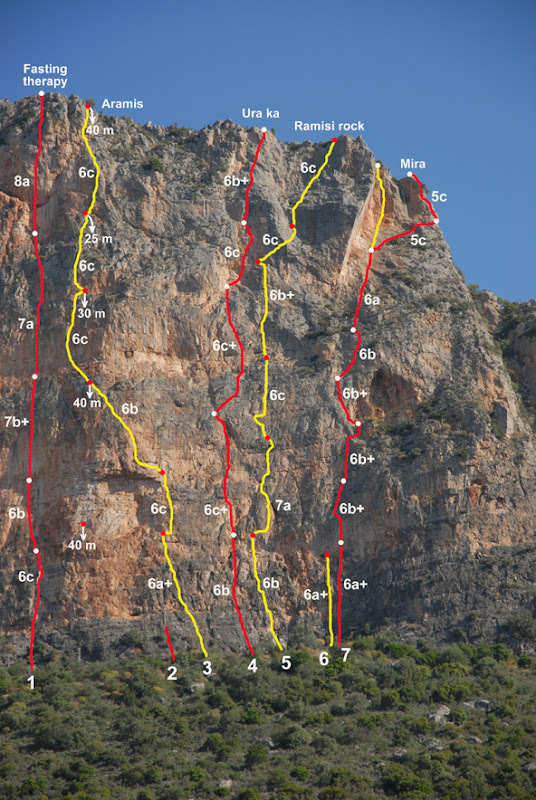 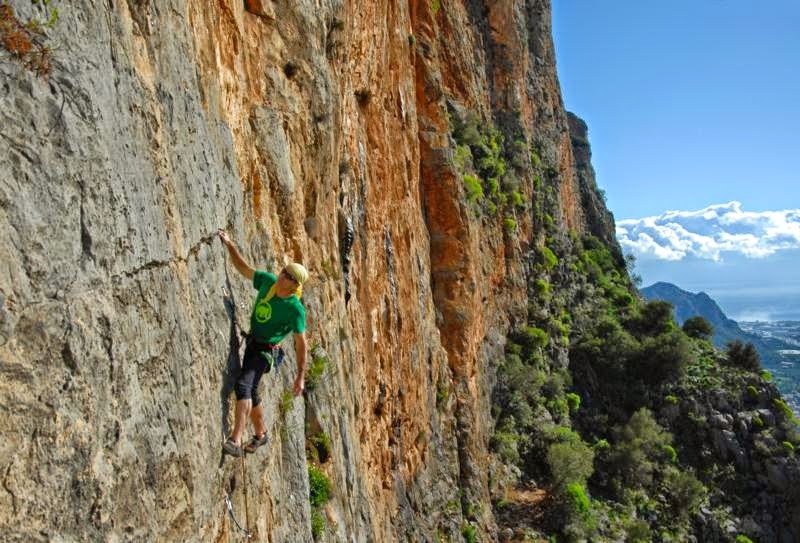 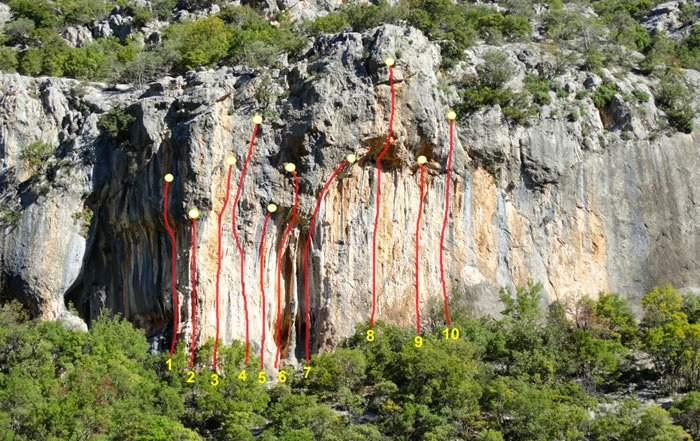 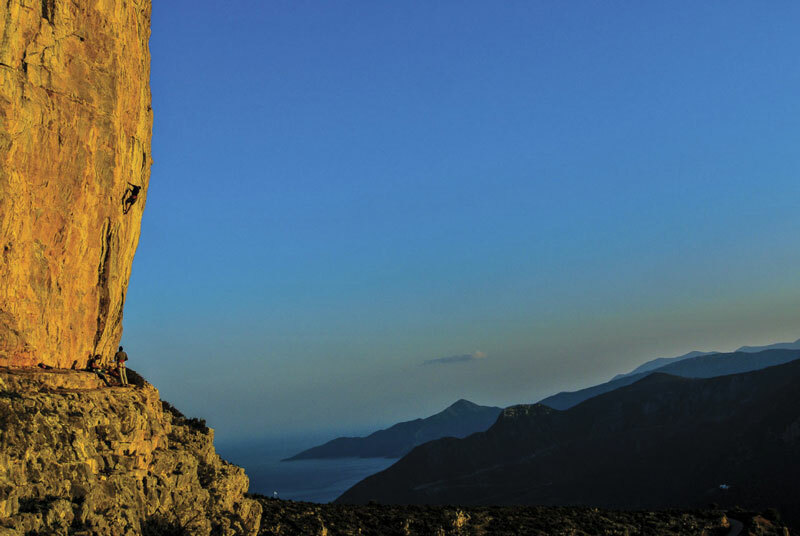 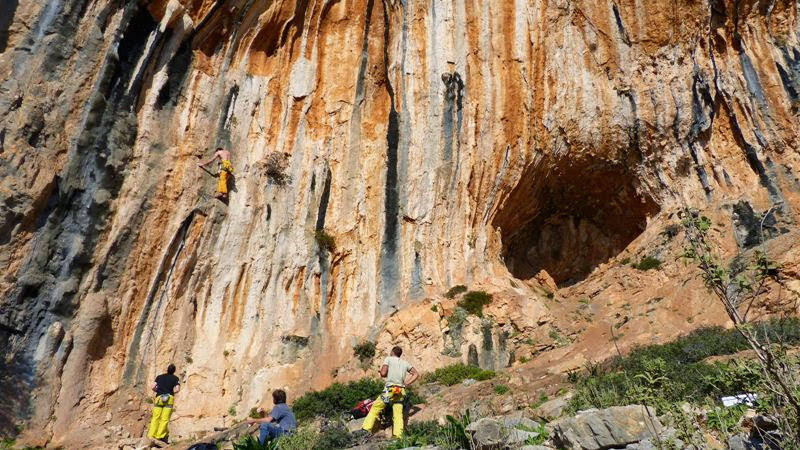 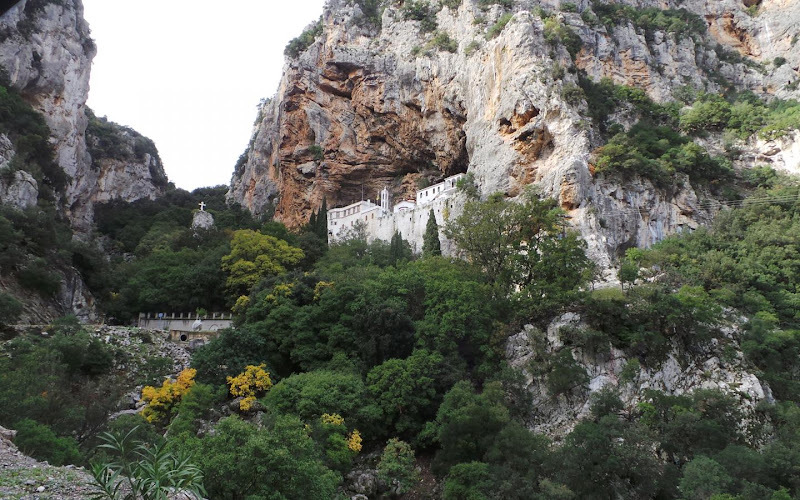 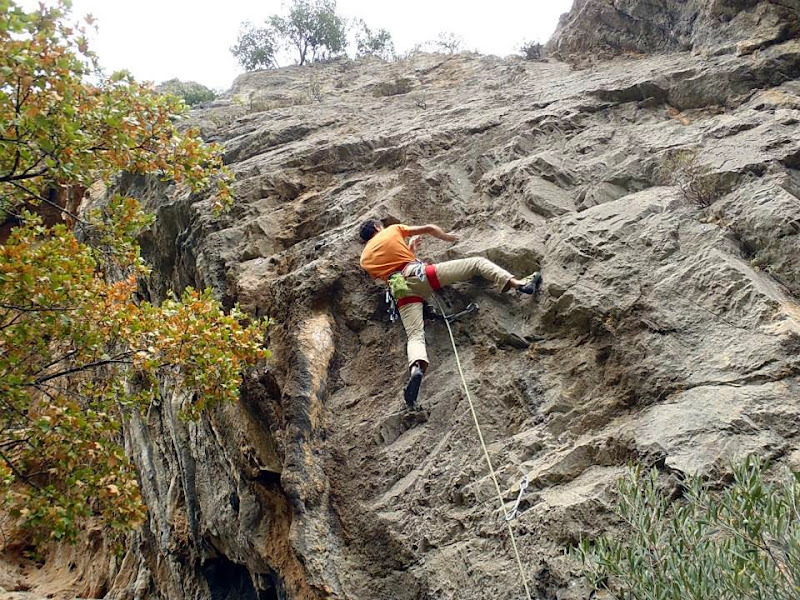 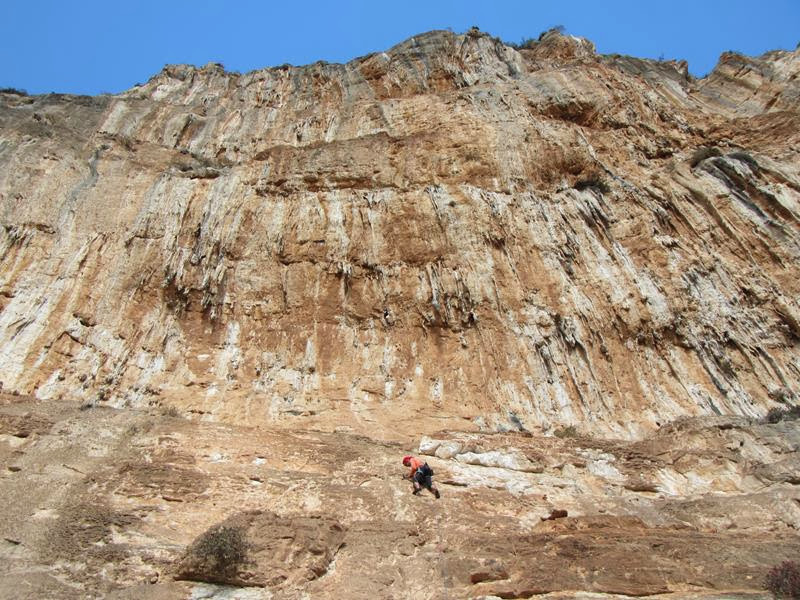 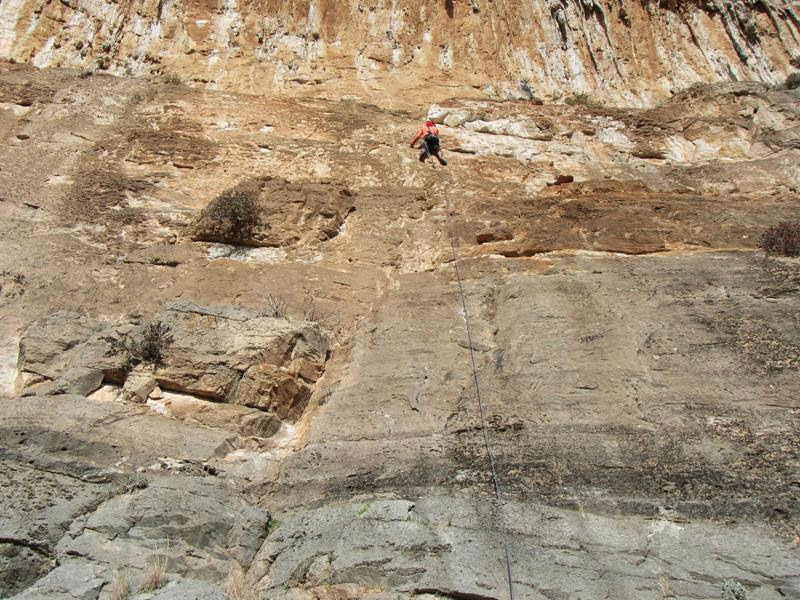 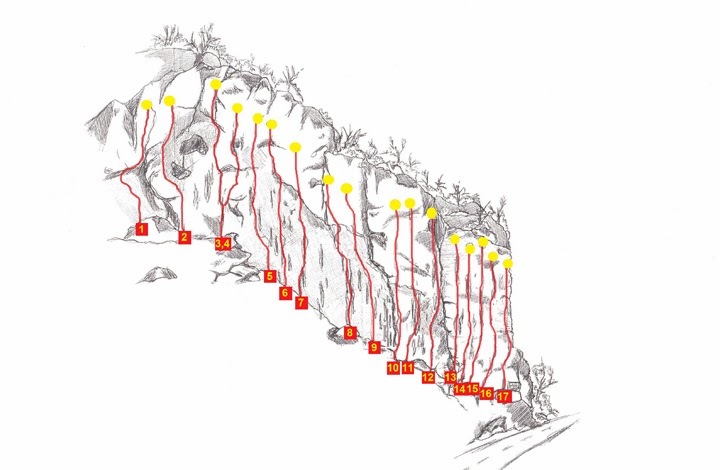 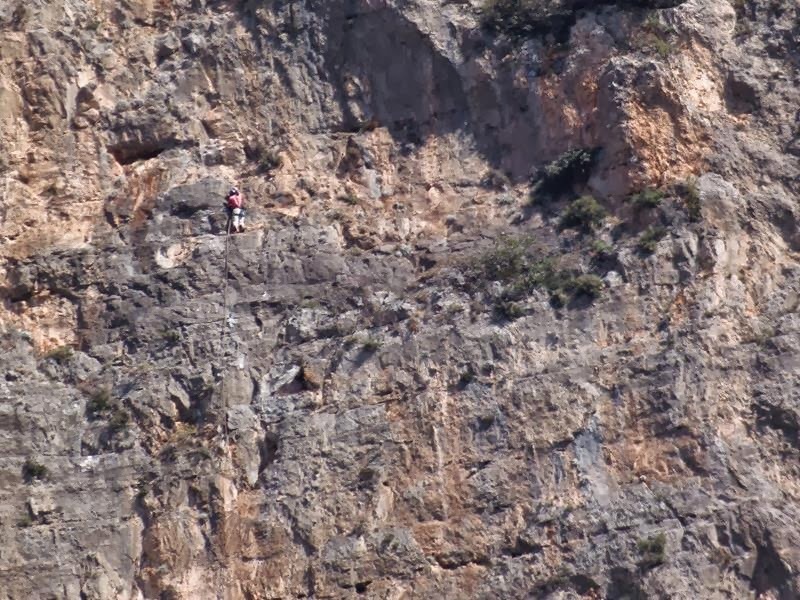 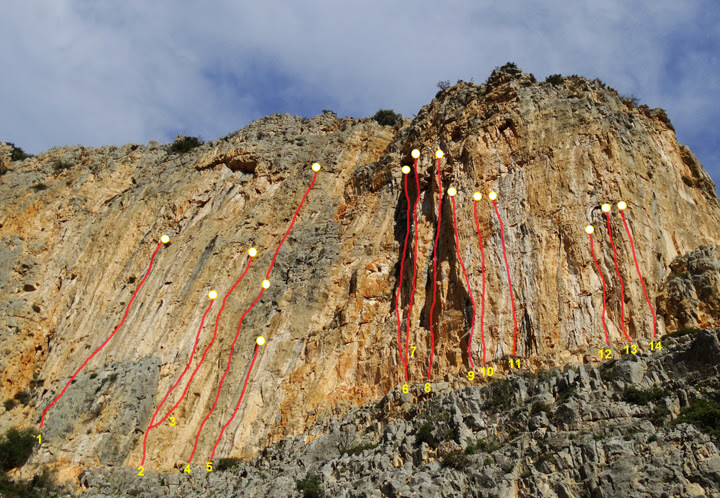 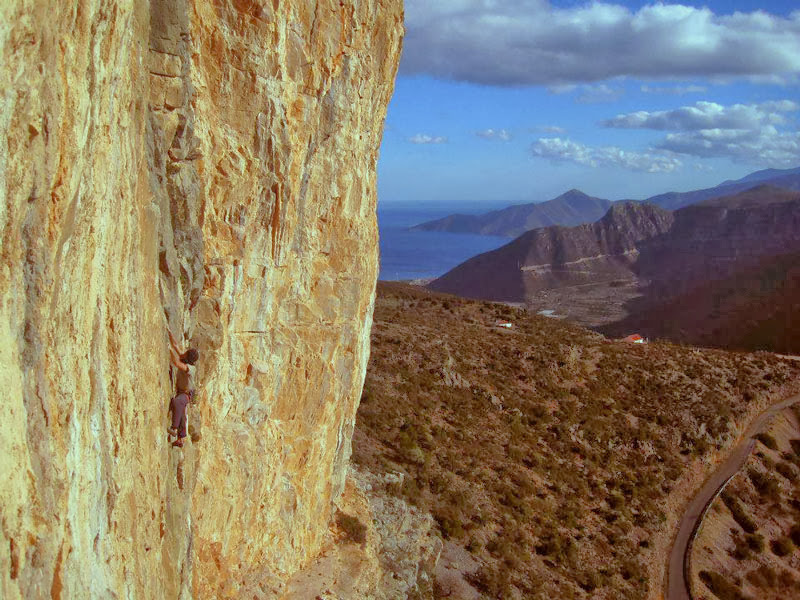 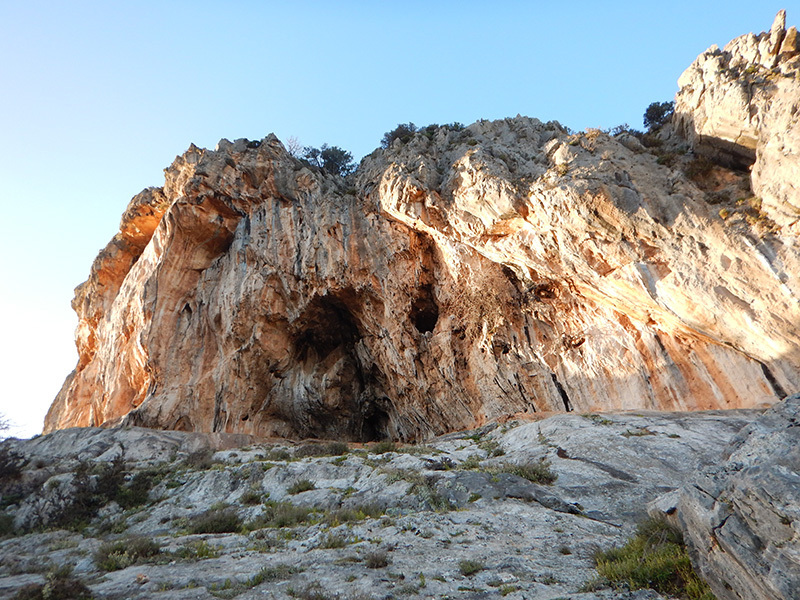 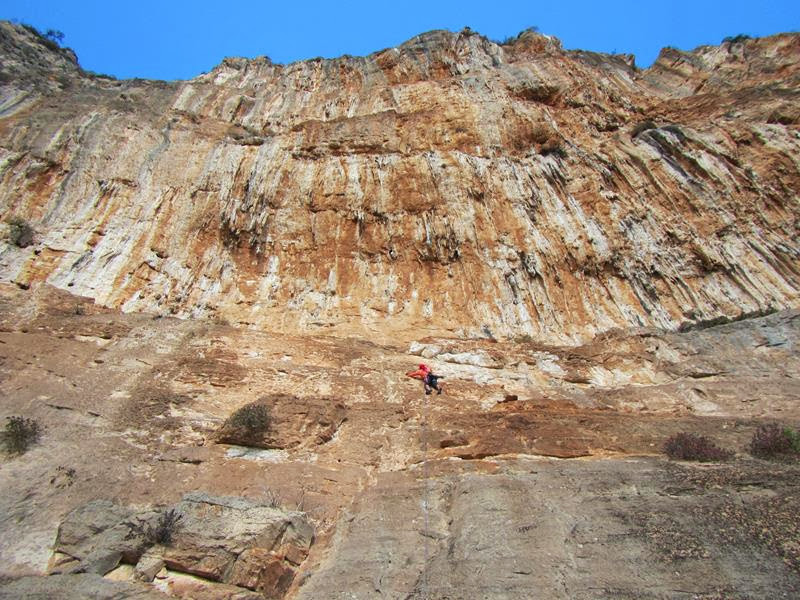 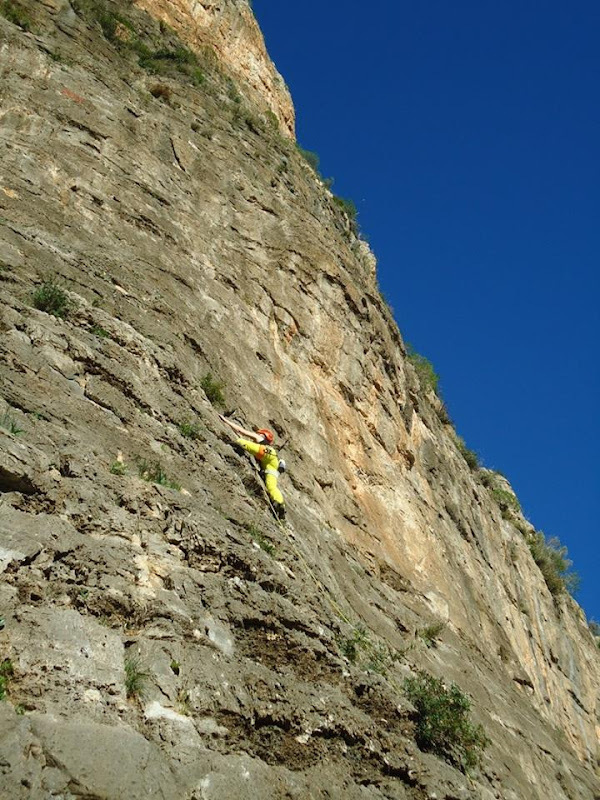 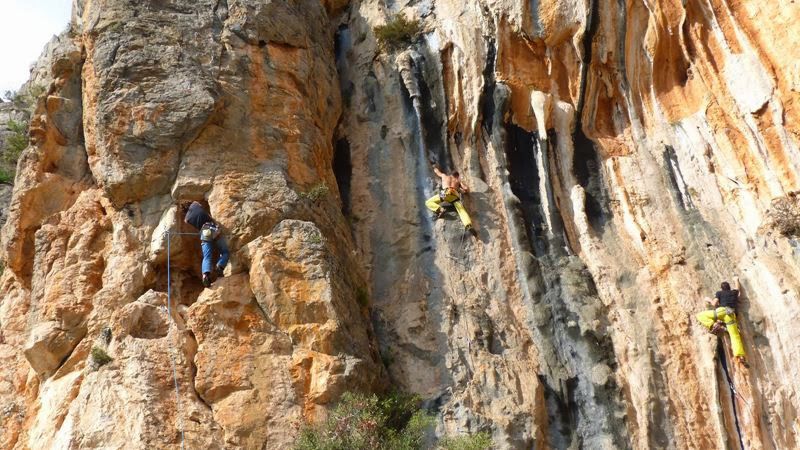 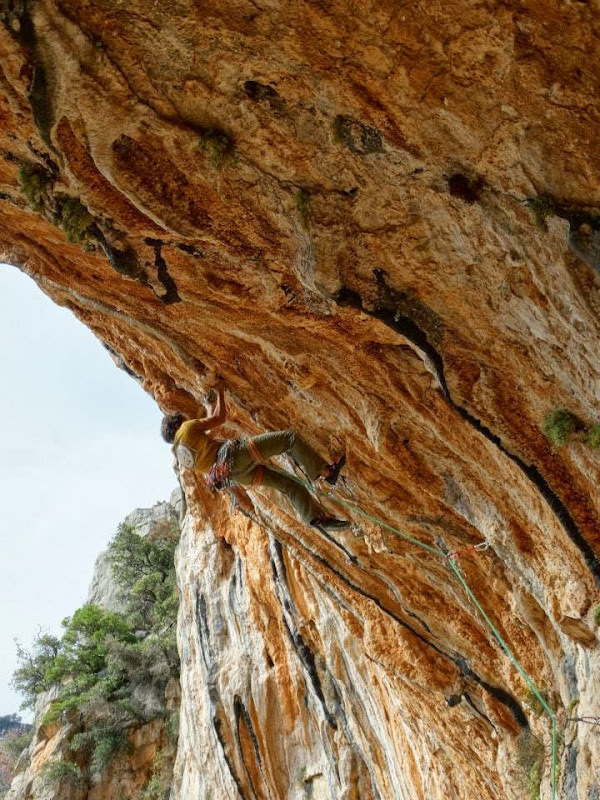 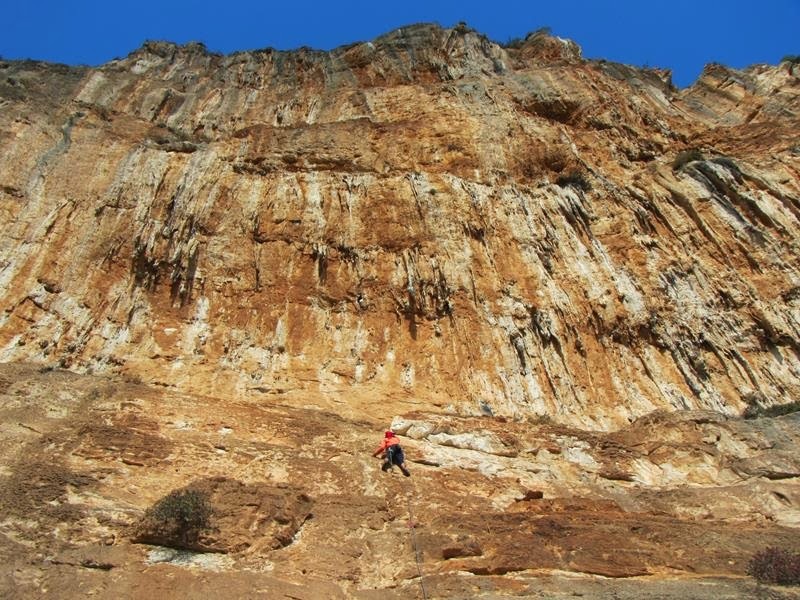 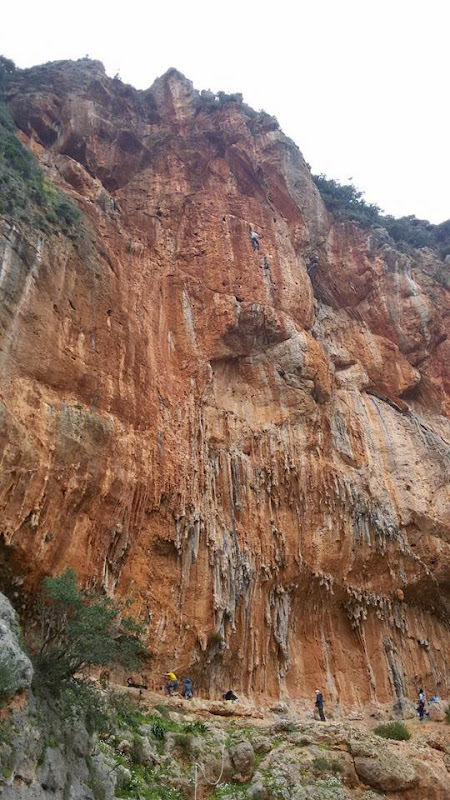 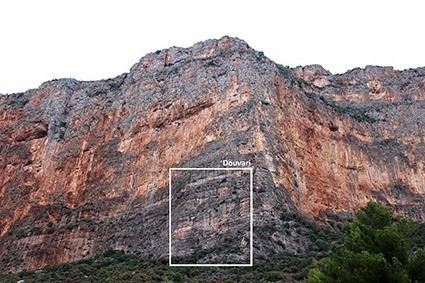 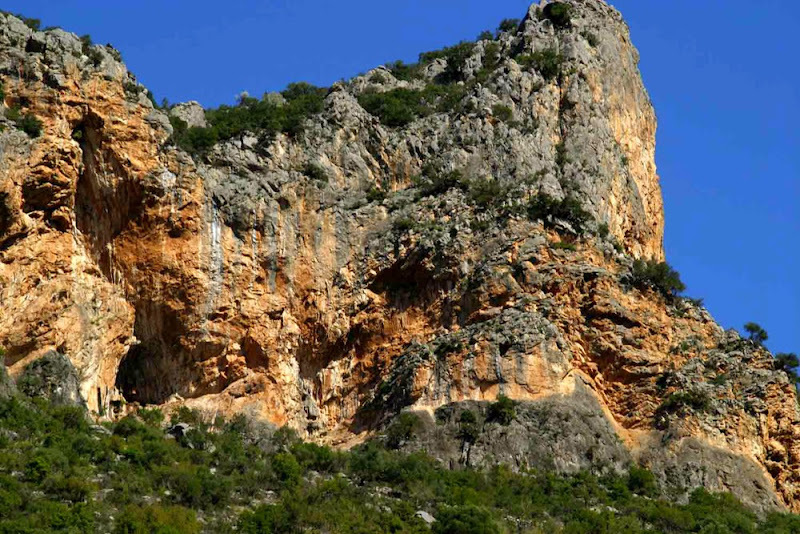 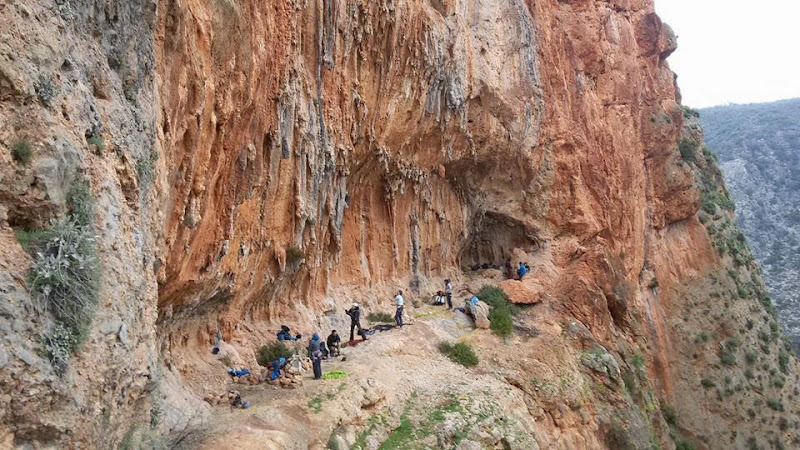 The first attempts of climbing on the Red Rock were done by D. Sotirakis and A. Theodoropoulos who followed the route “Pillar of Fire” during the 80’s and monopolized the resident’s interest. 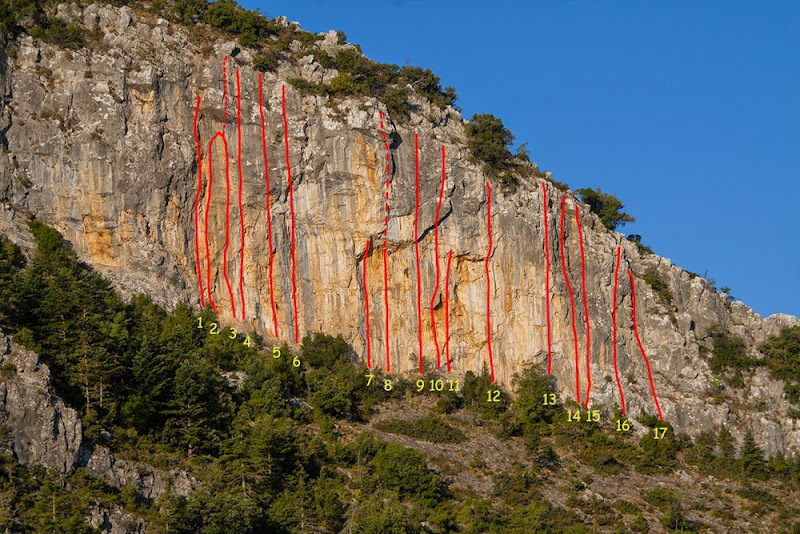 27 years later, the continuous efforts of the famous Swiss climbers Claude and Yves Remy to open new climbing routes, were finally advanced. 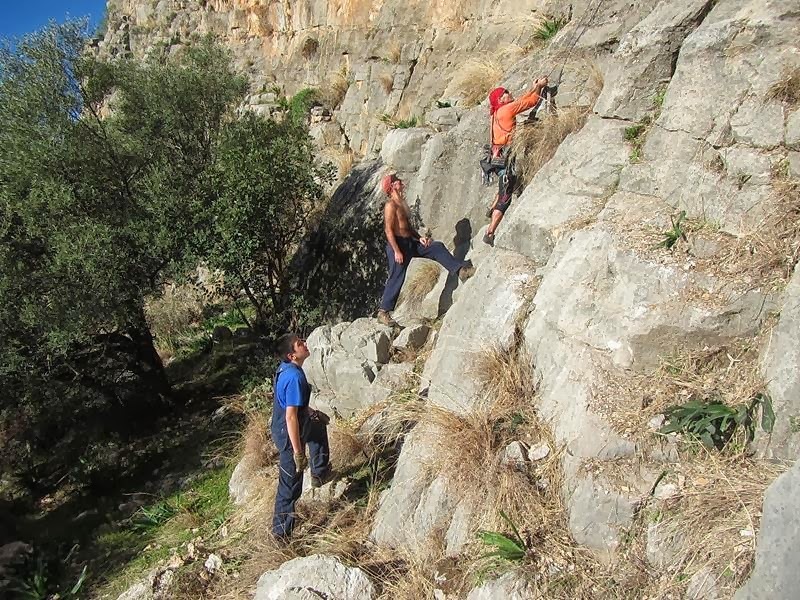 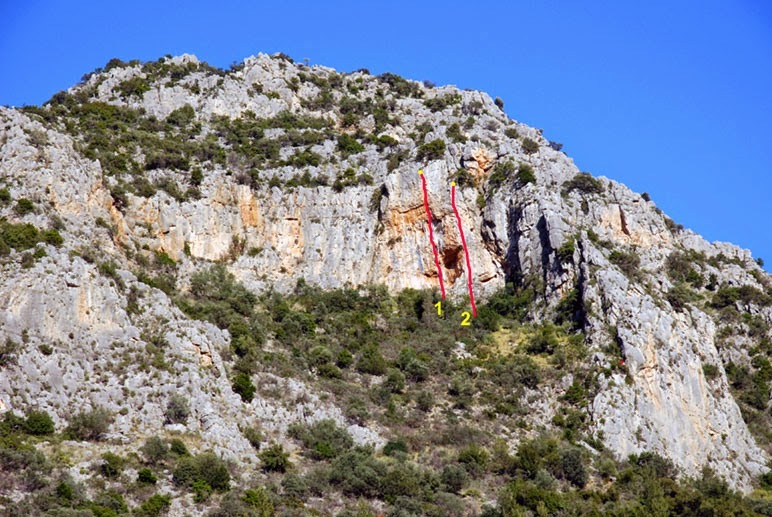 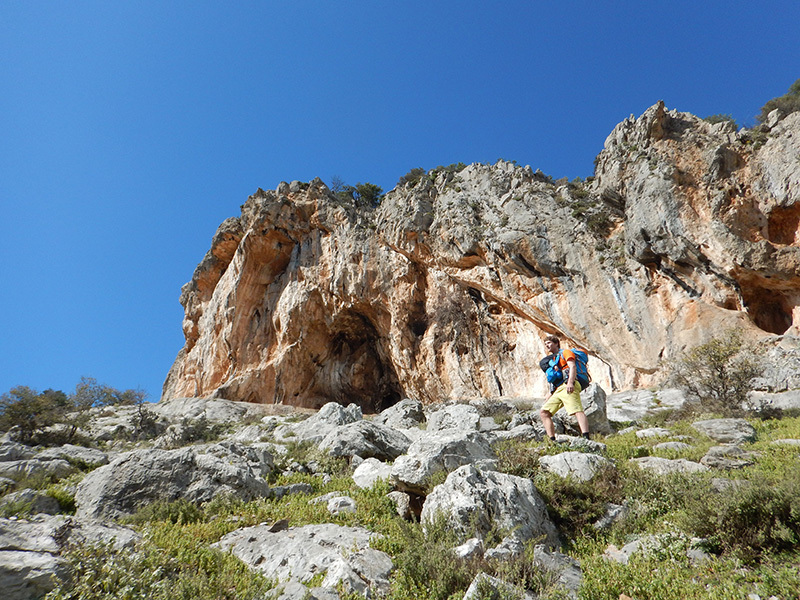 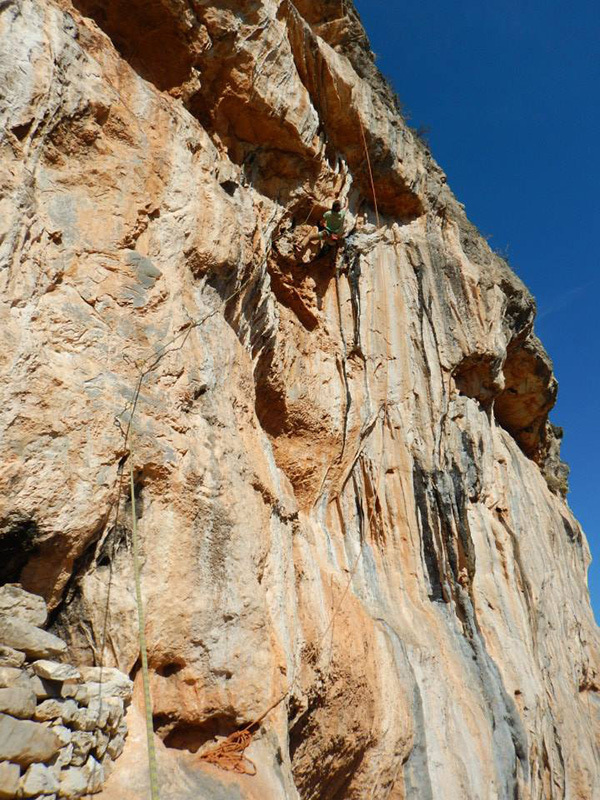 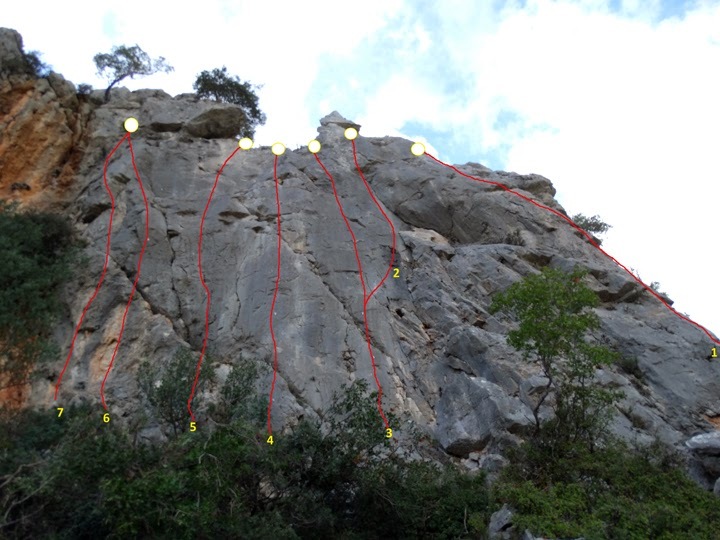 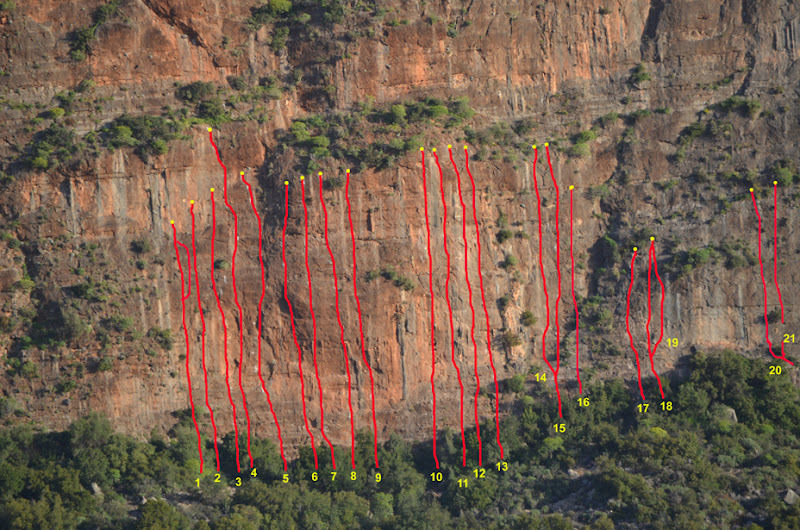 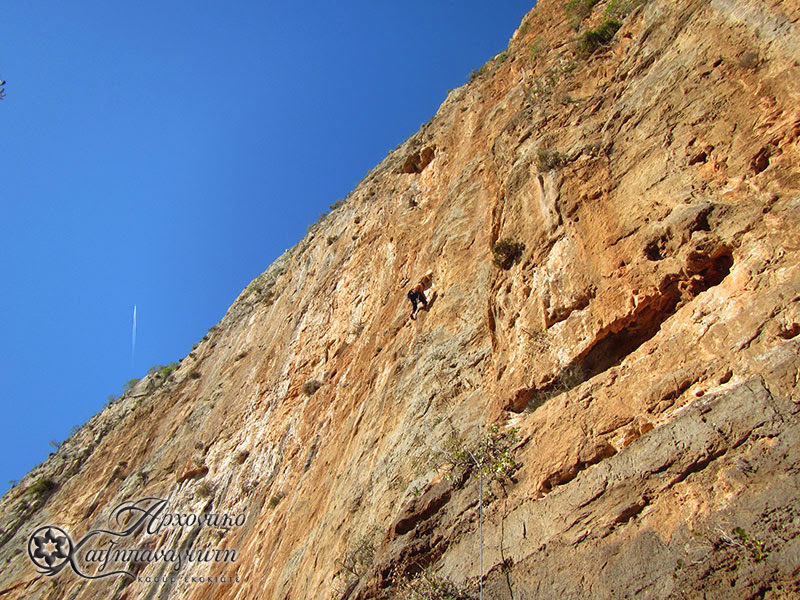 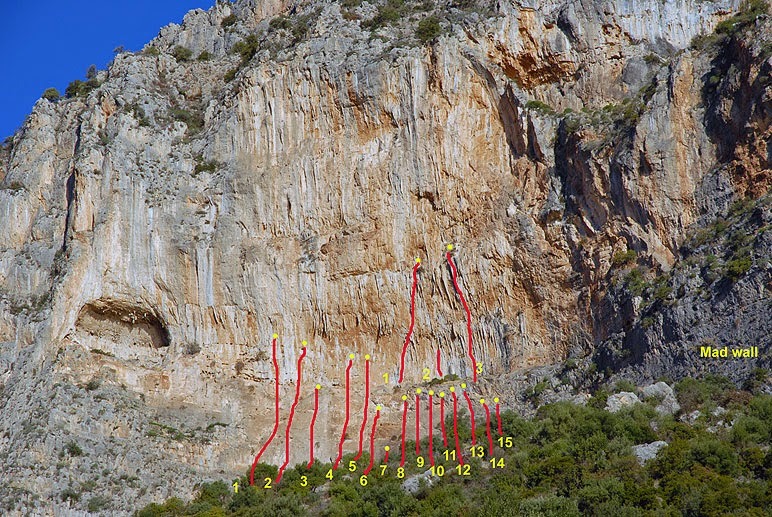 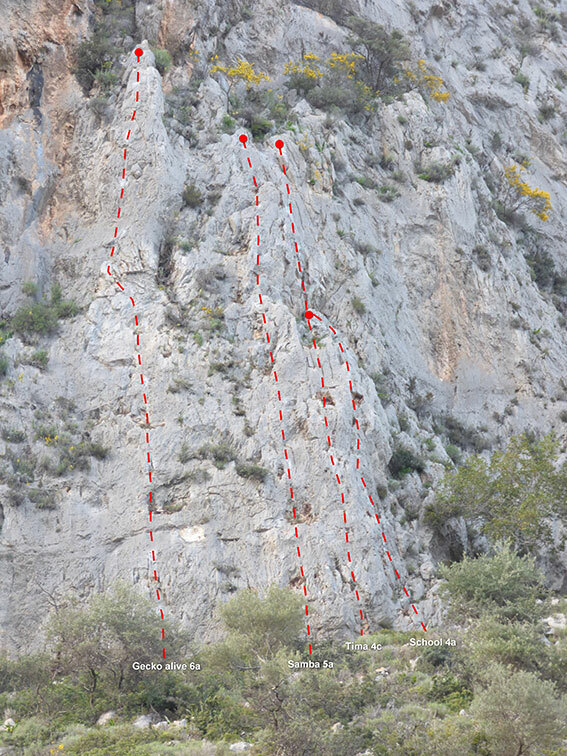 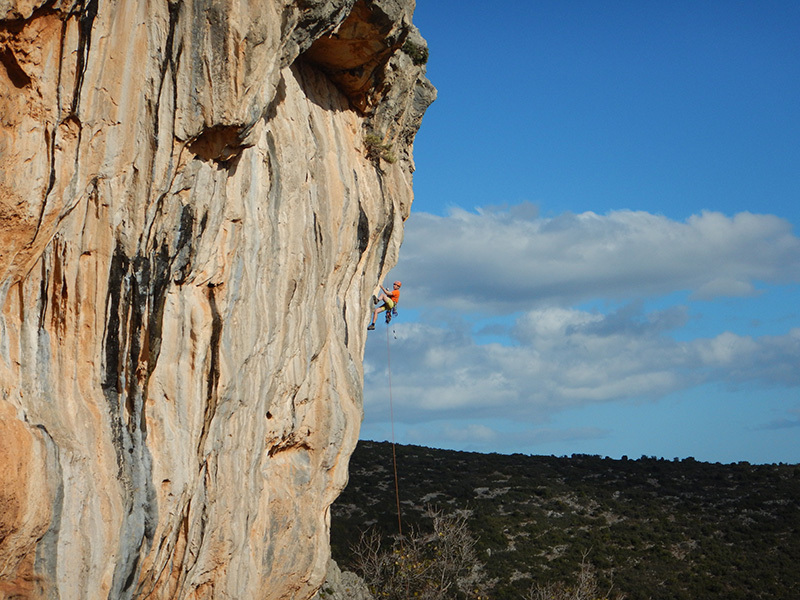 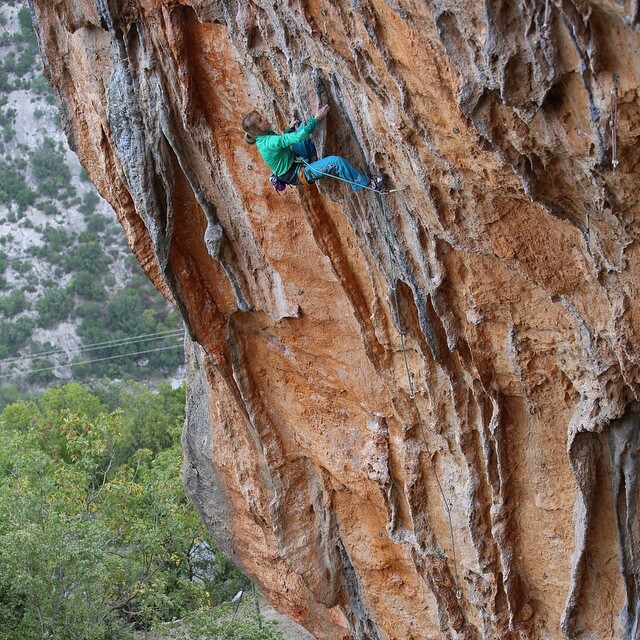 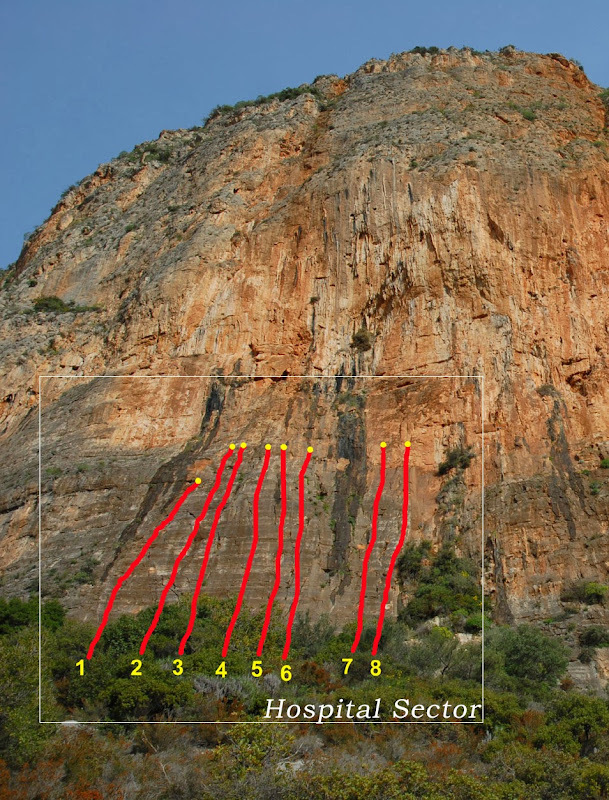 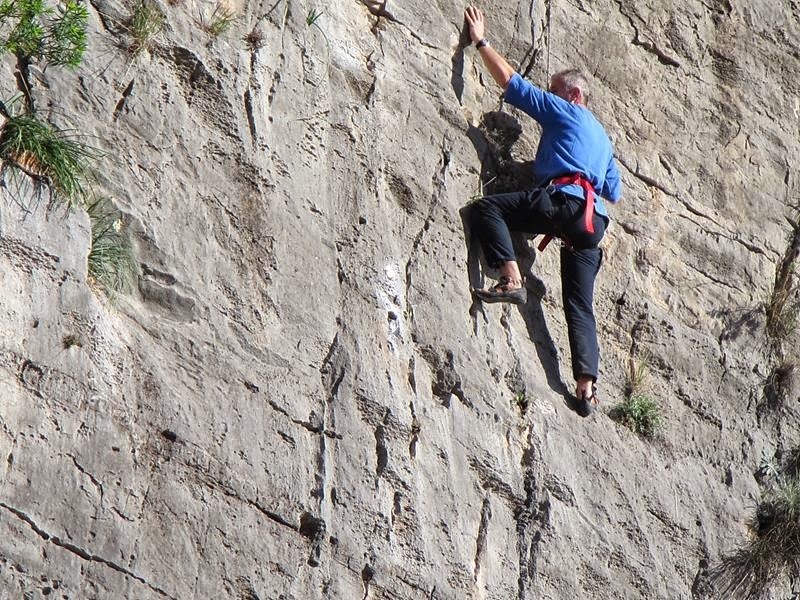 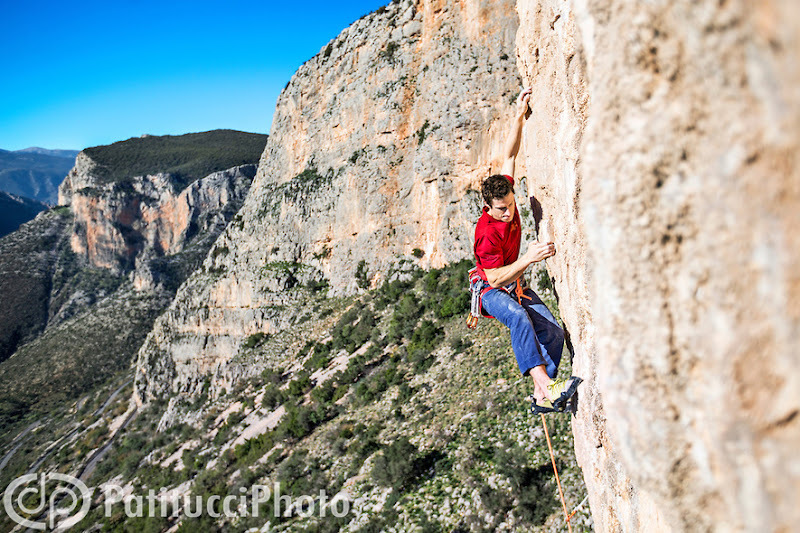 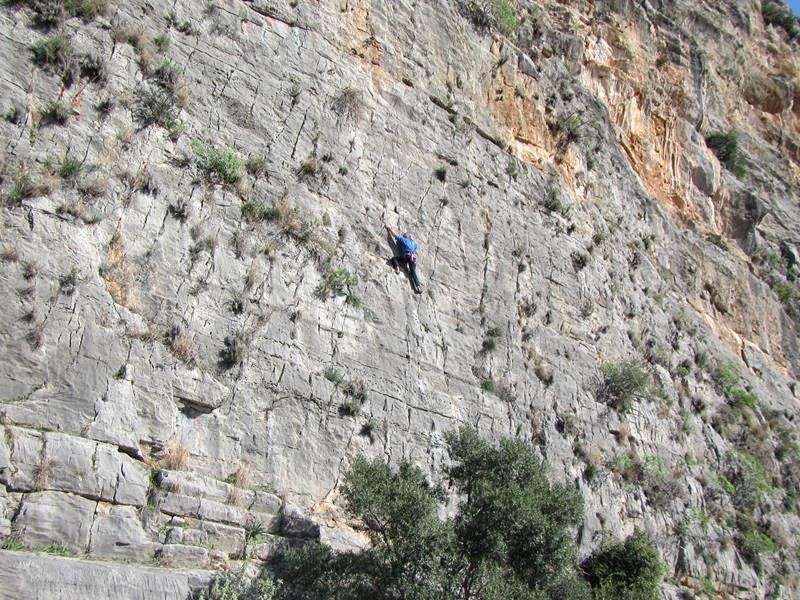 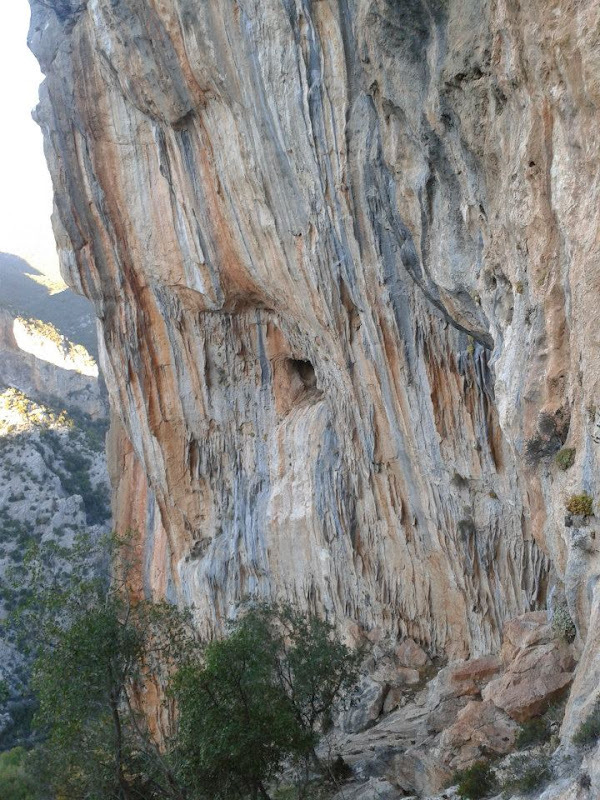 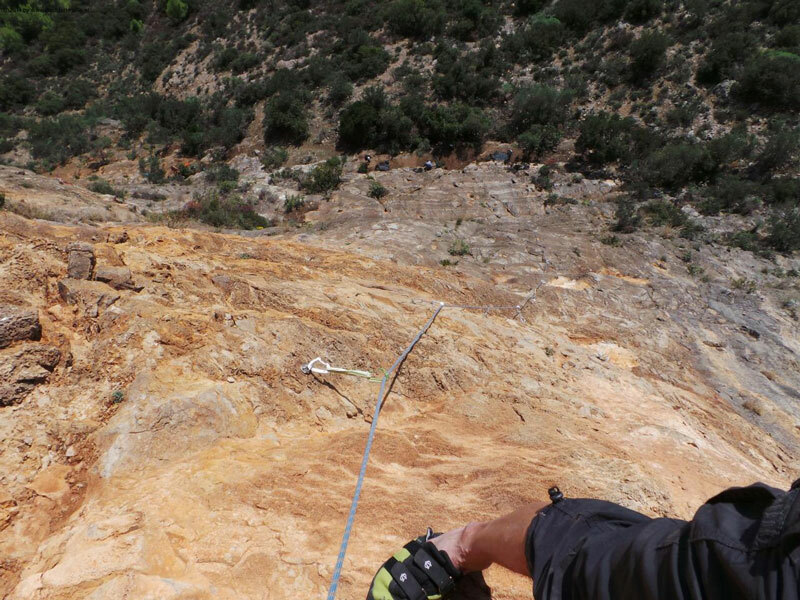 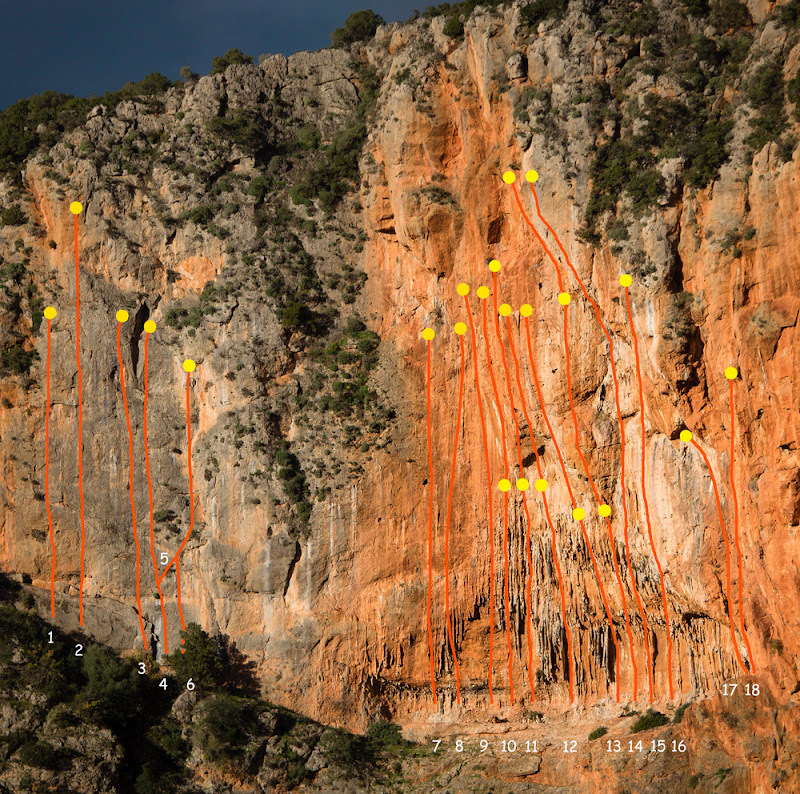 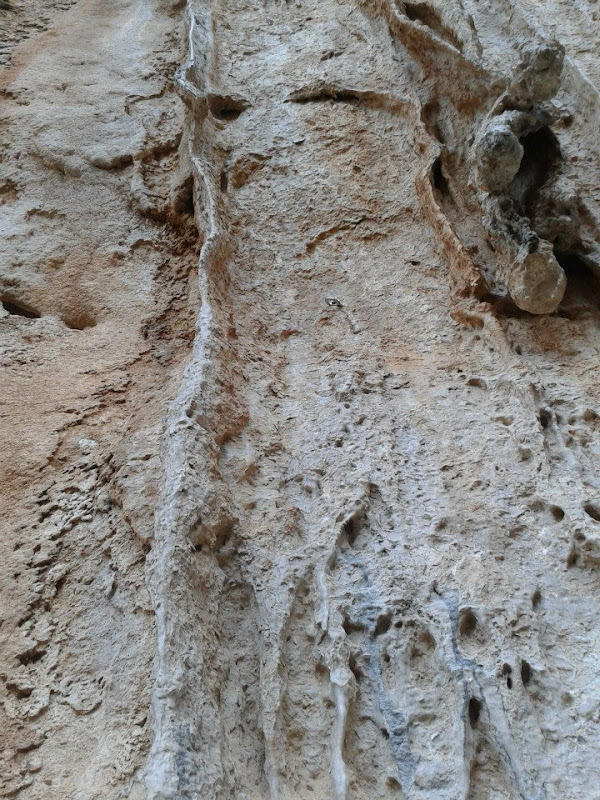 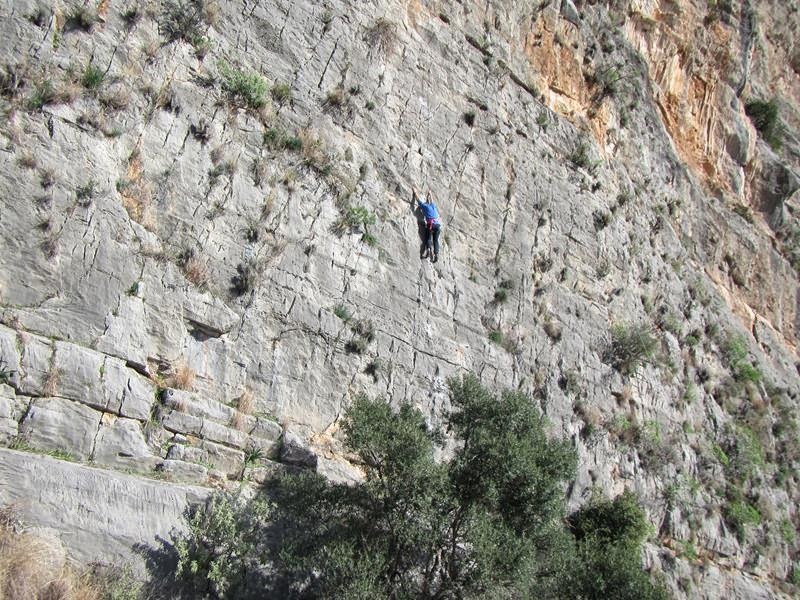 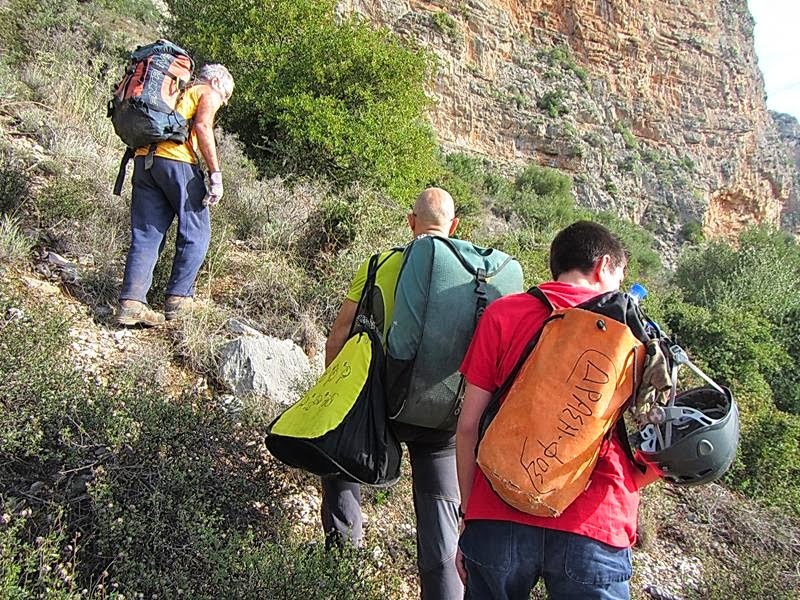 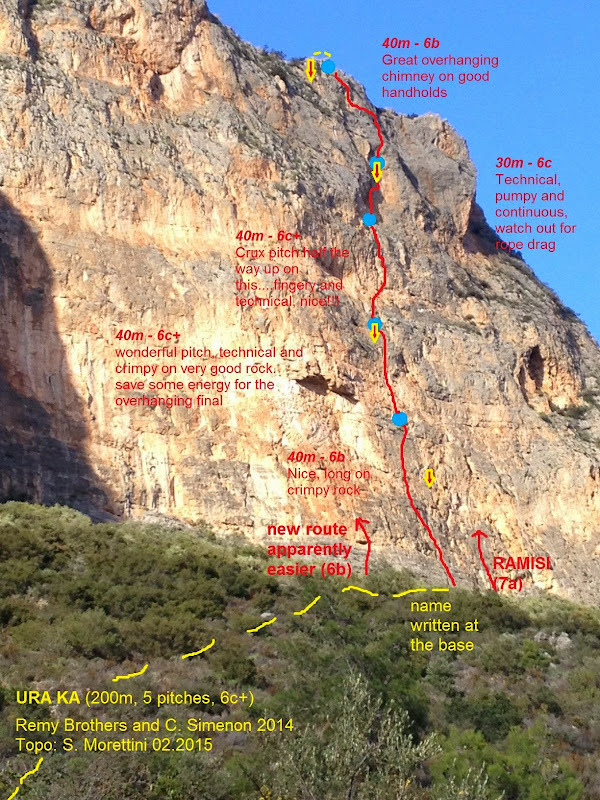 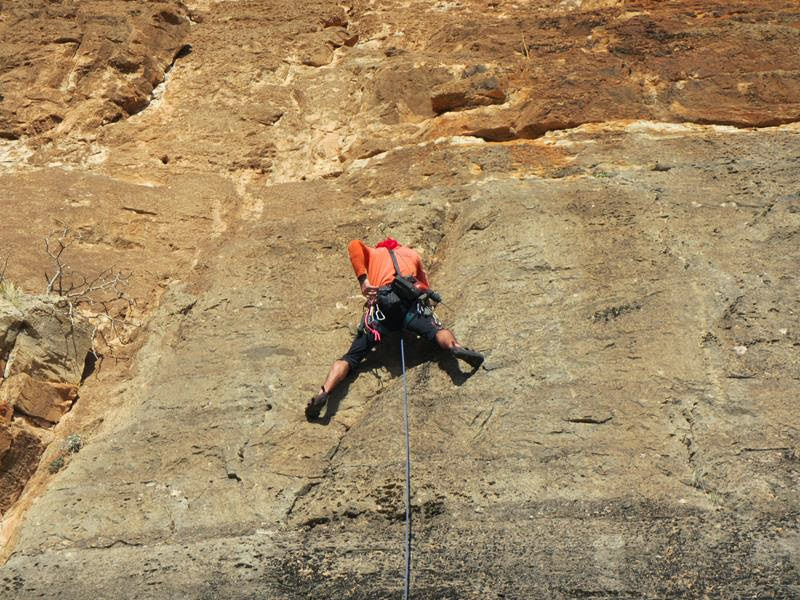 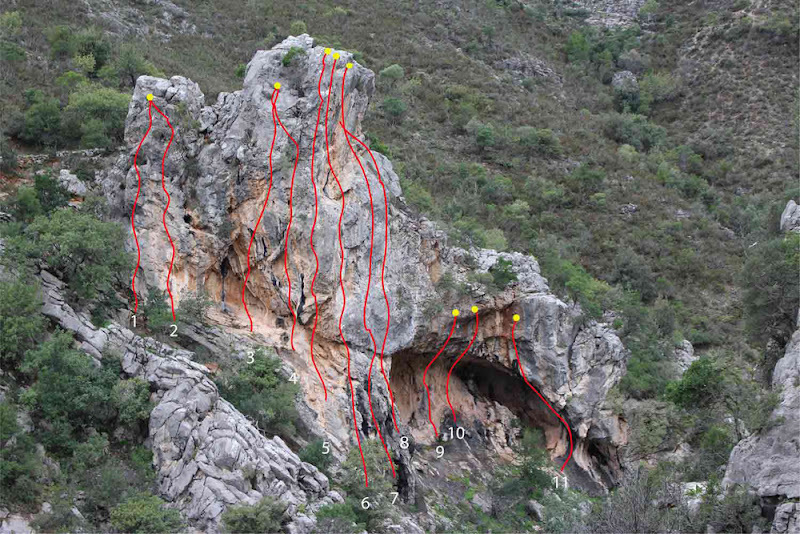 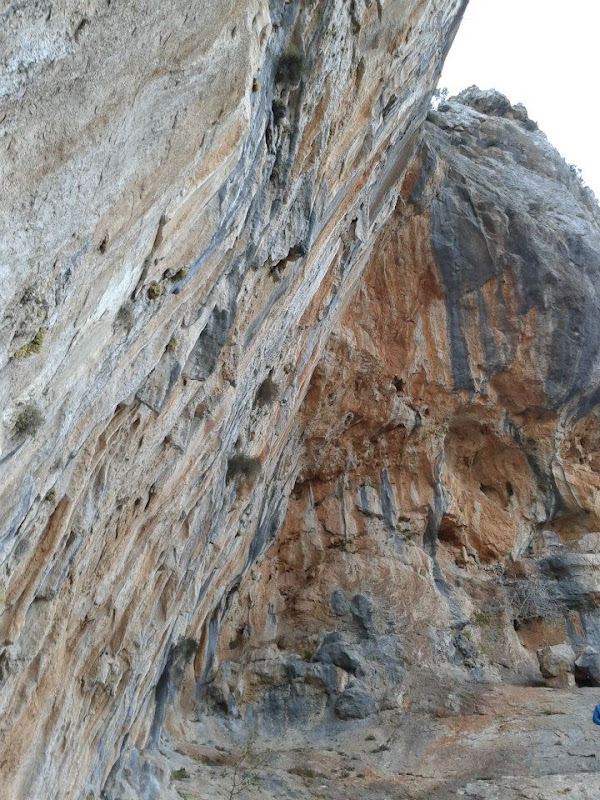 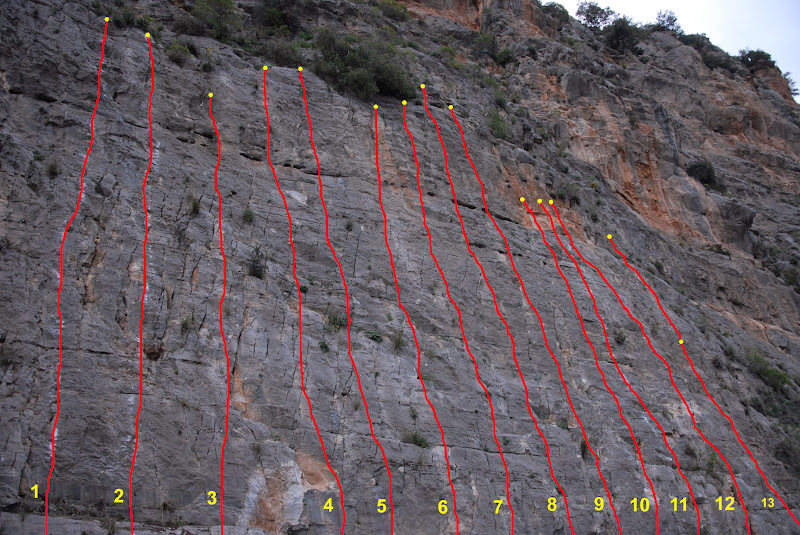 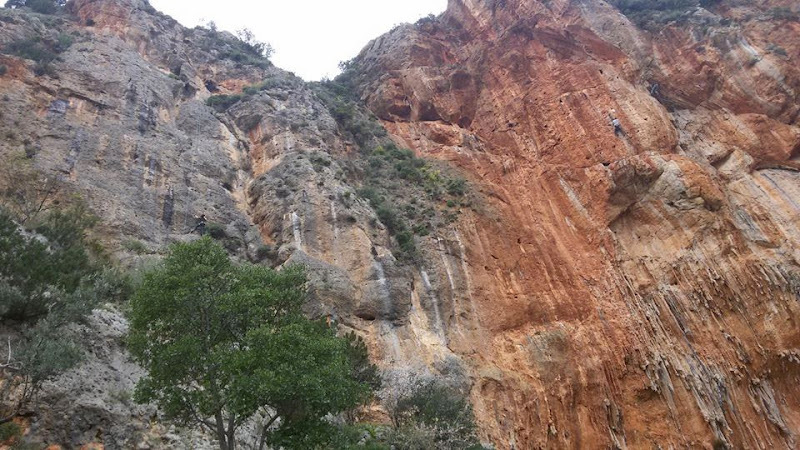 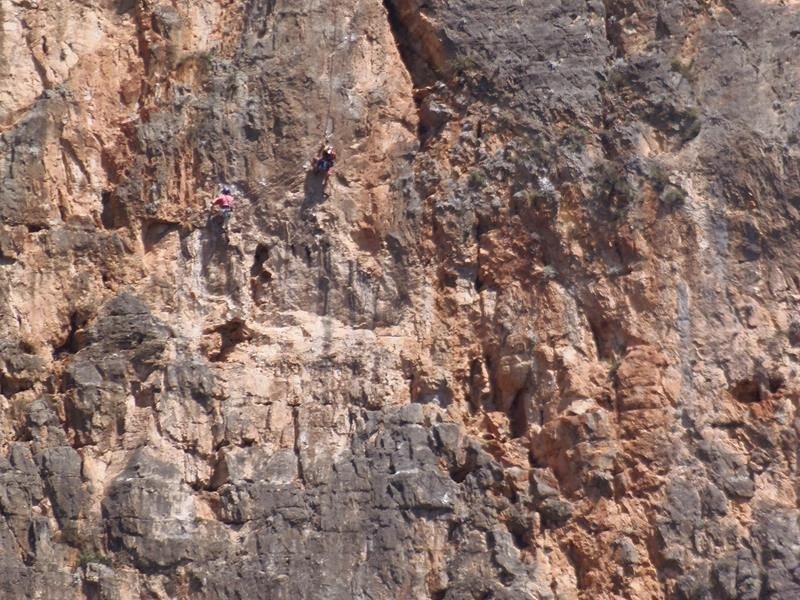 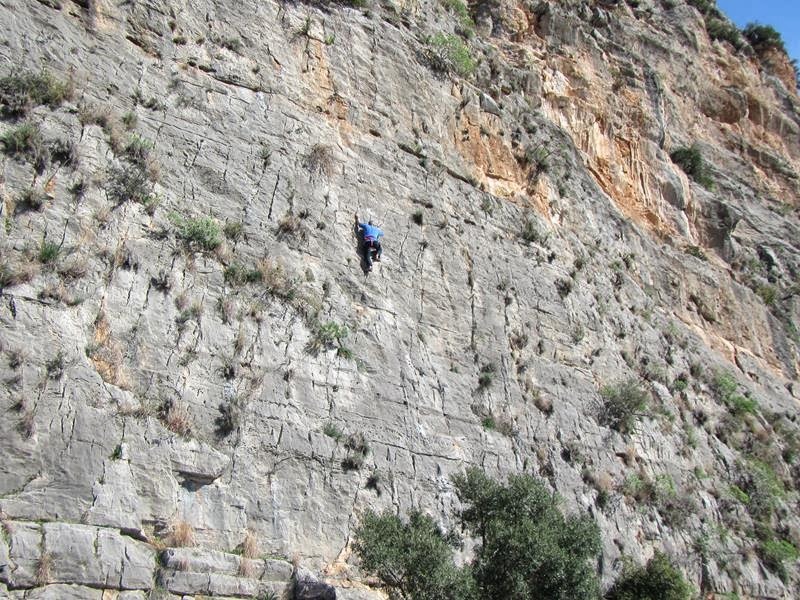 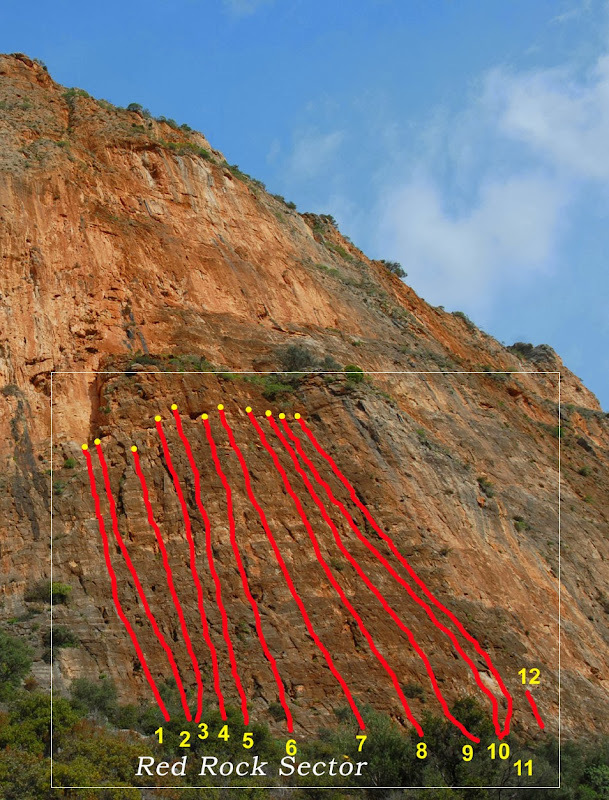 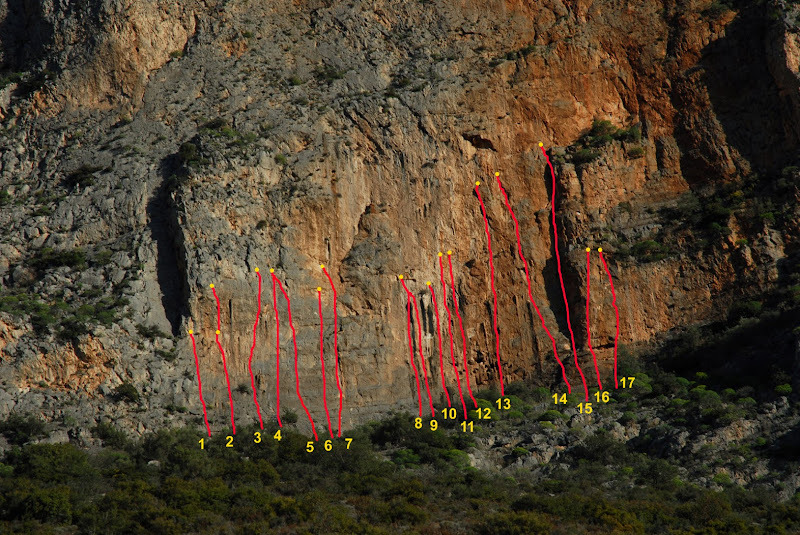 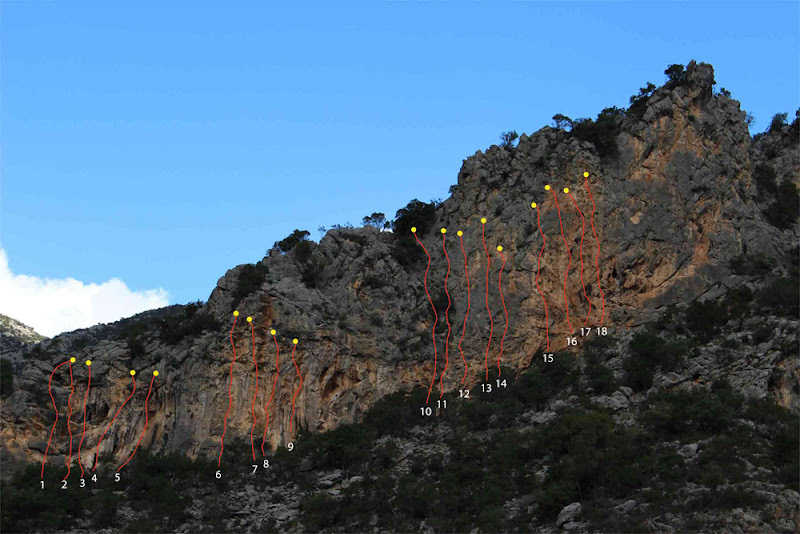 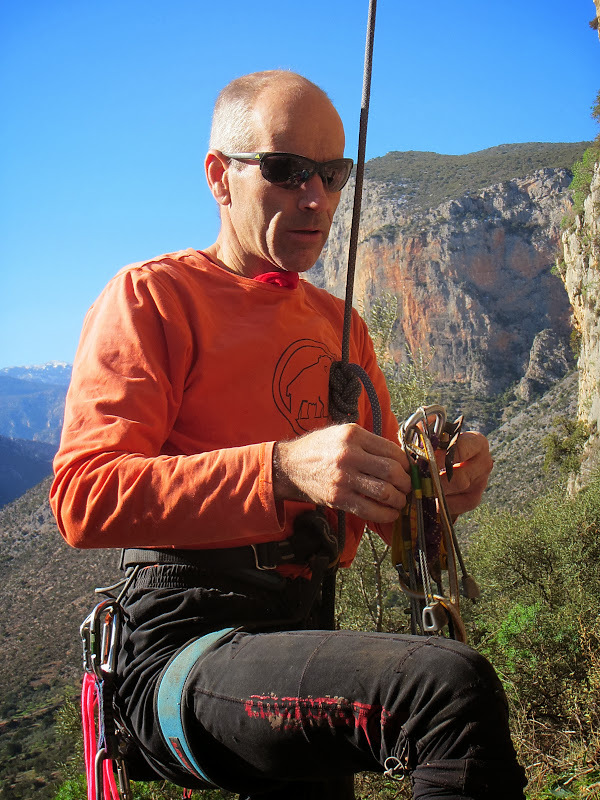 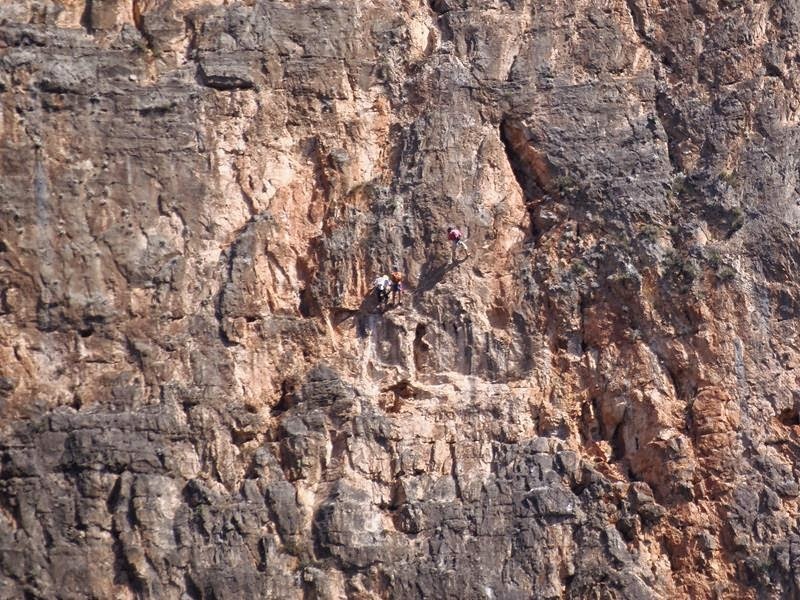 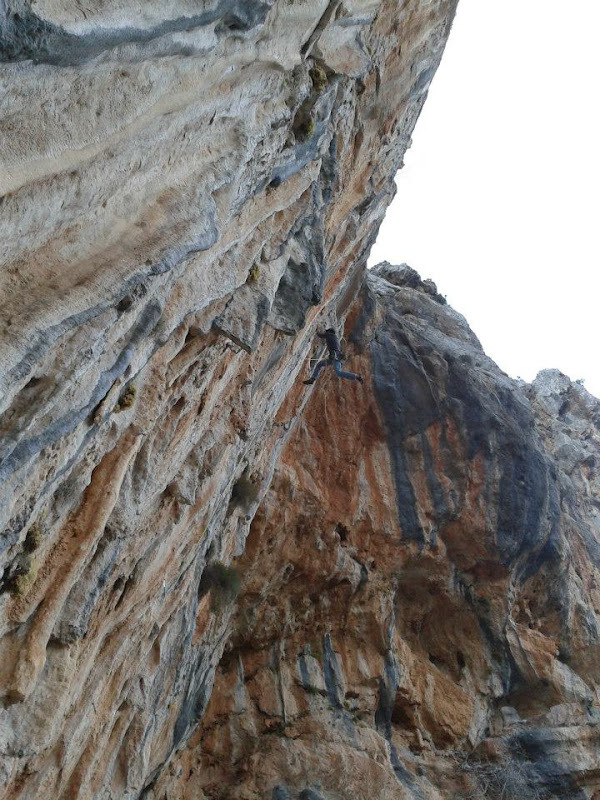 During their stay in Leonidio, they marked out almost 25 new routes of height 25-40m and degree of difficulty 5-7c. 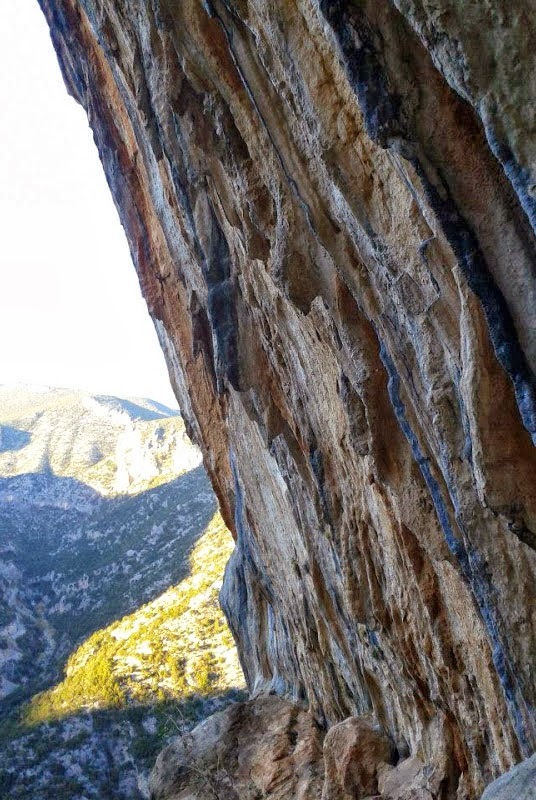 There is more to come! 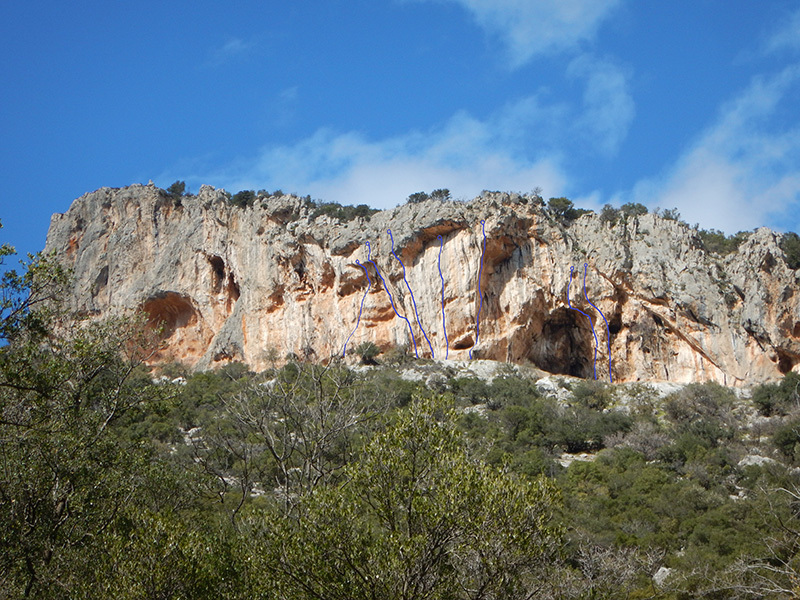 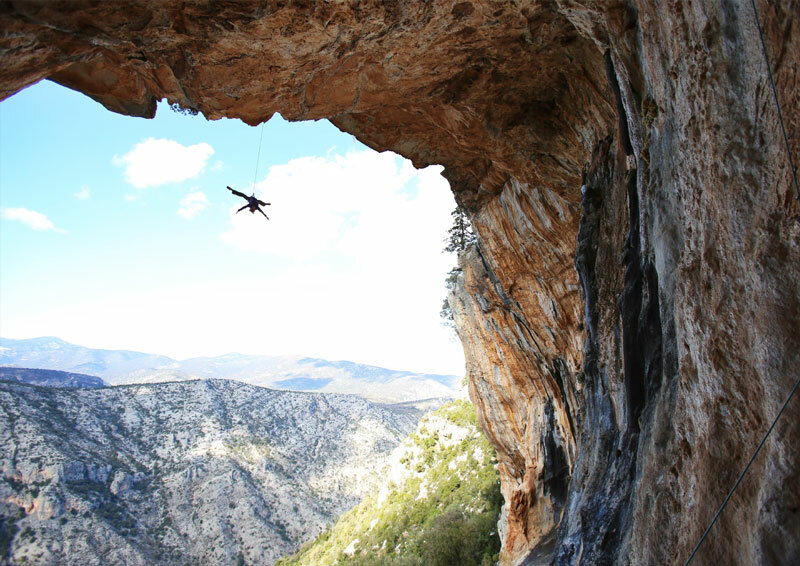 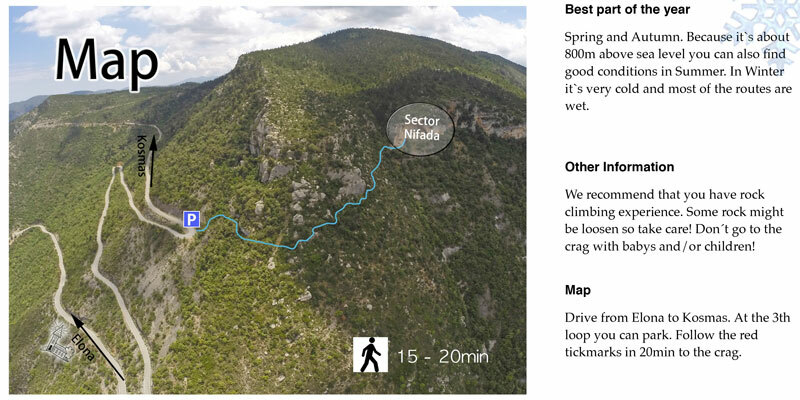 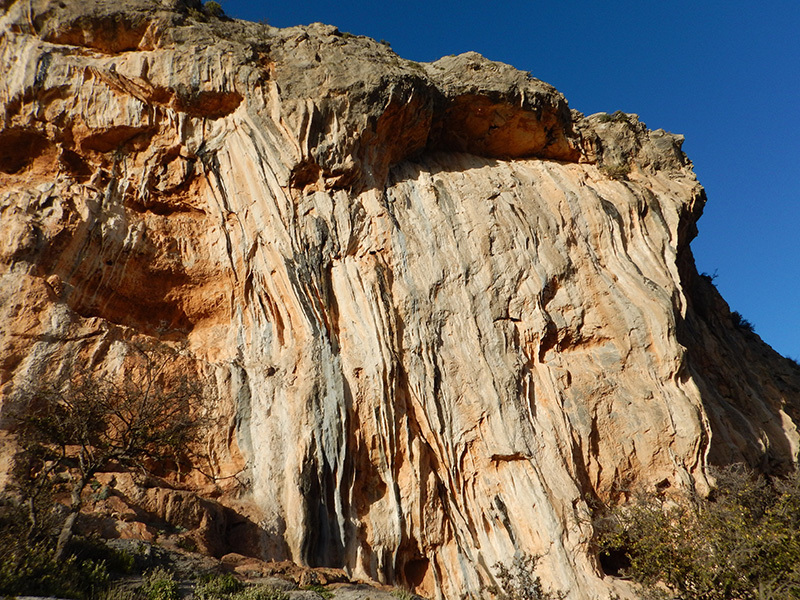 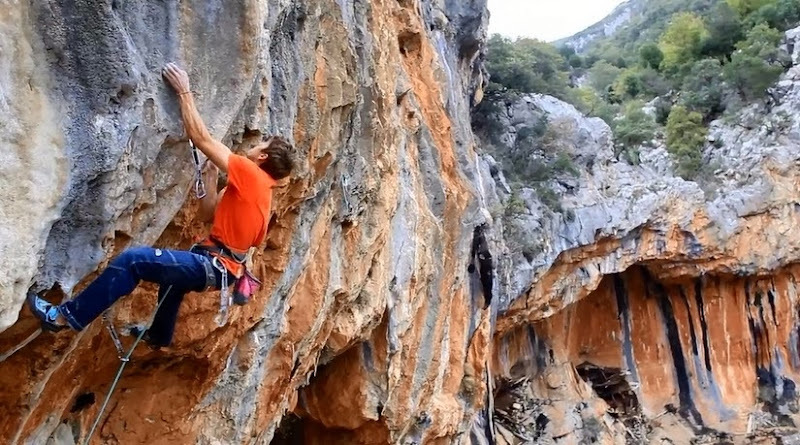 Lovers of climbing will have the opportunity to see the completed presentation of the routes soon. 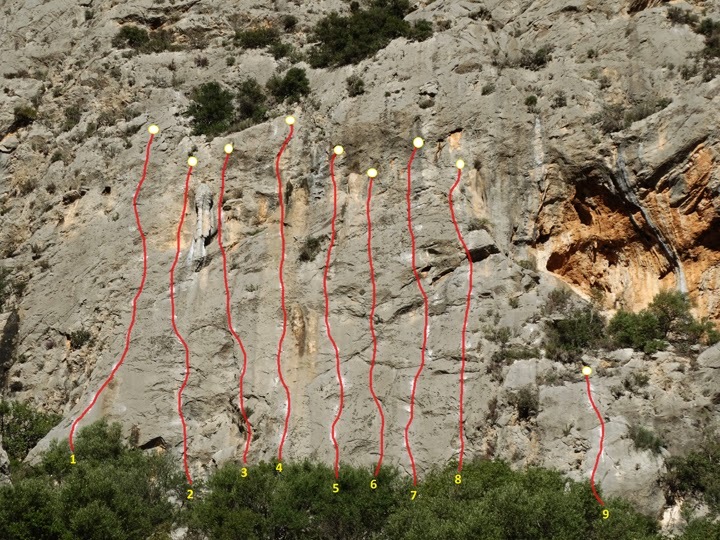 There are about 80 bolts for the route and the abseils, 5 pitches very homogenous with a great finish. 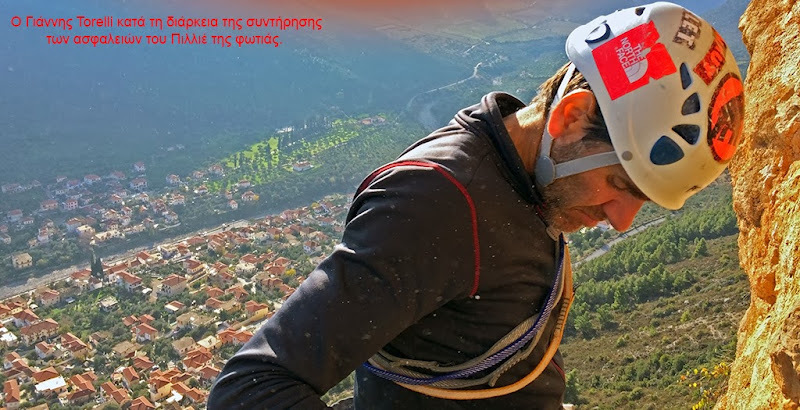 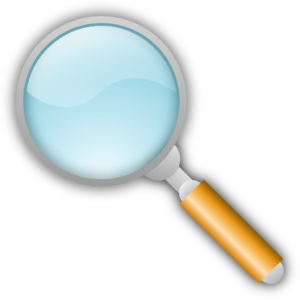 Ura Ka mean “Have a good time” in the local Tsakonian language. 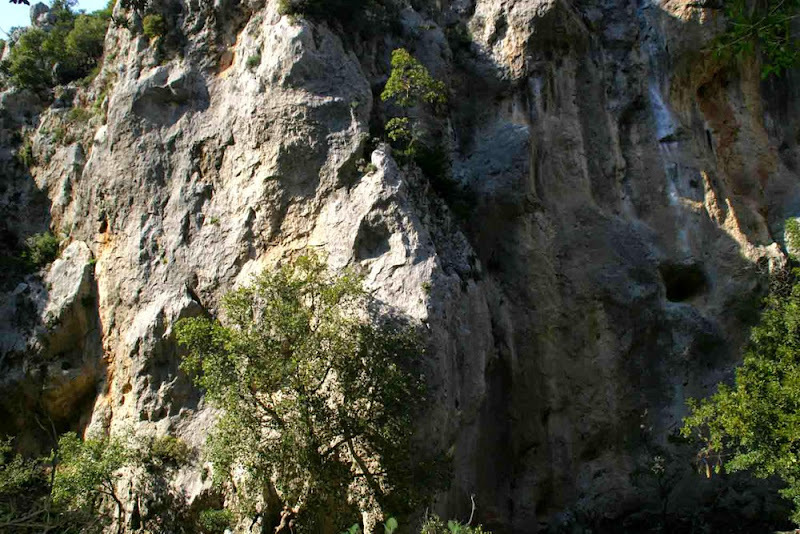 Gerovrachos is above the sector “La maison des chevres”. 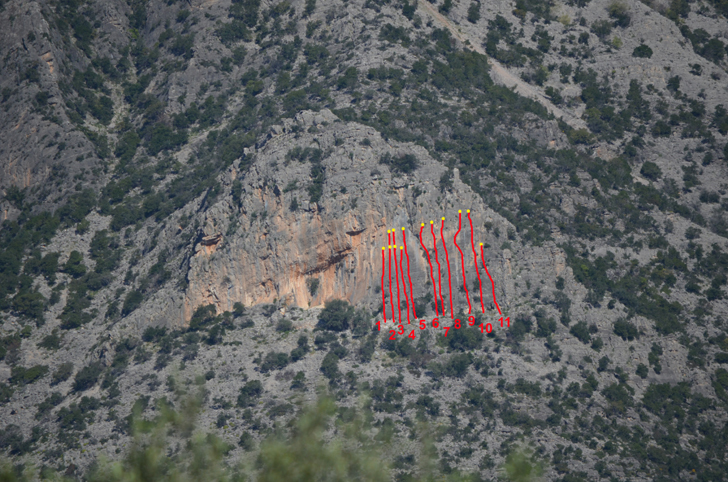 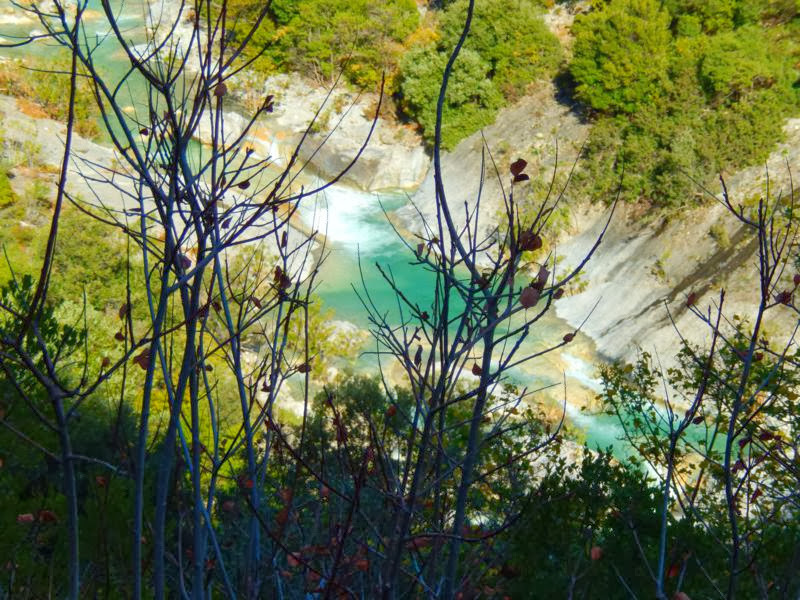 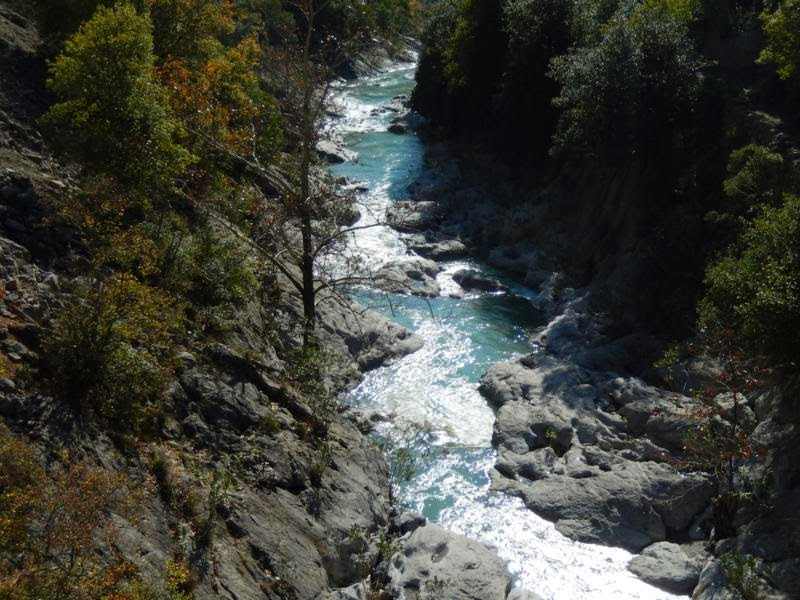 Drive from Leonidio to Kosmas and after around 12 kilometers turn right to Paleochori. 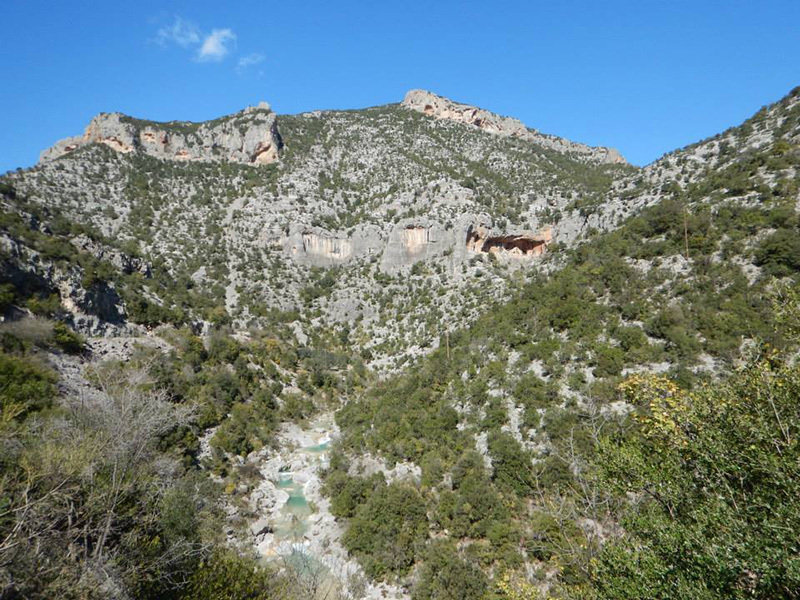 After 3 km you see the sector ” La maison des chevres” on the right side. 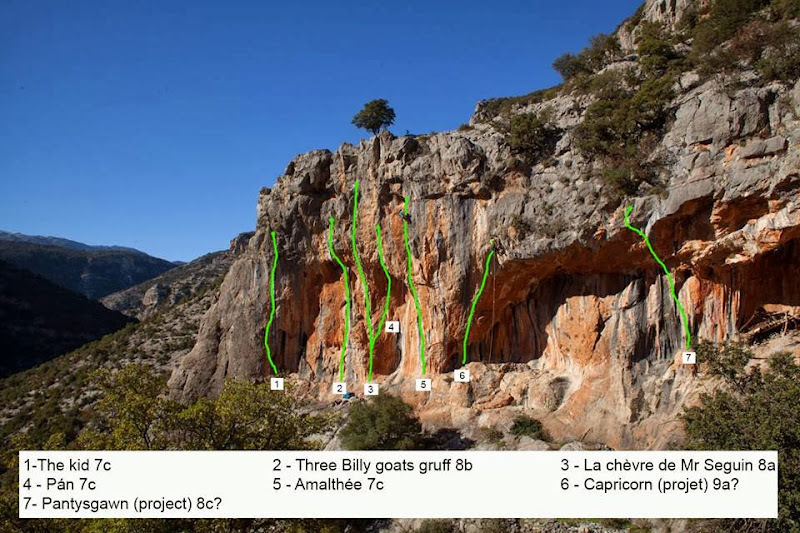 Take the nice path and continue after “La maison des chevres ” until the next goat pens made of stone. 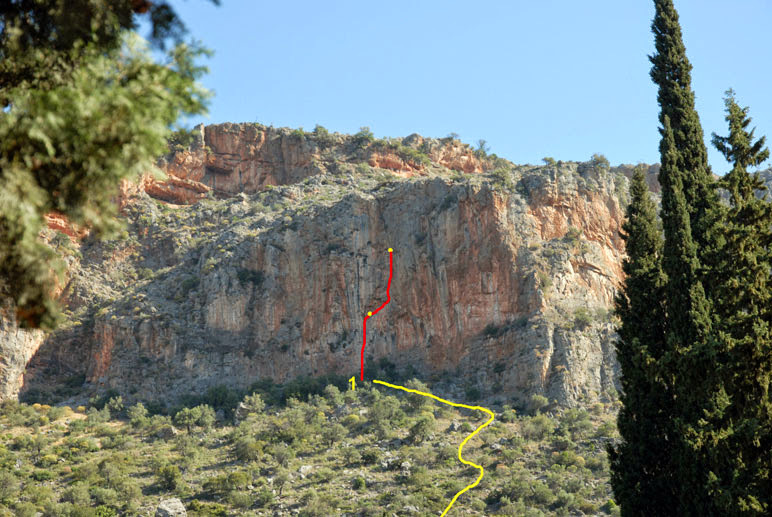 The path goes on the left side of the canyon and the crag is obvious to find from there. 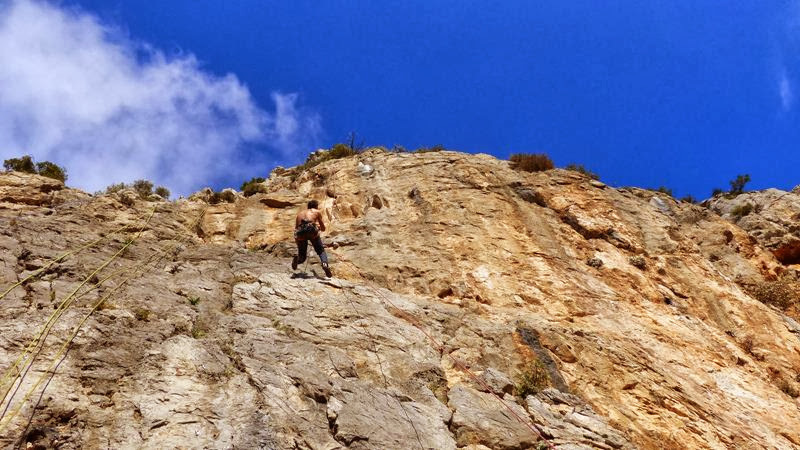 40 minutes. 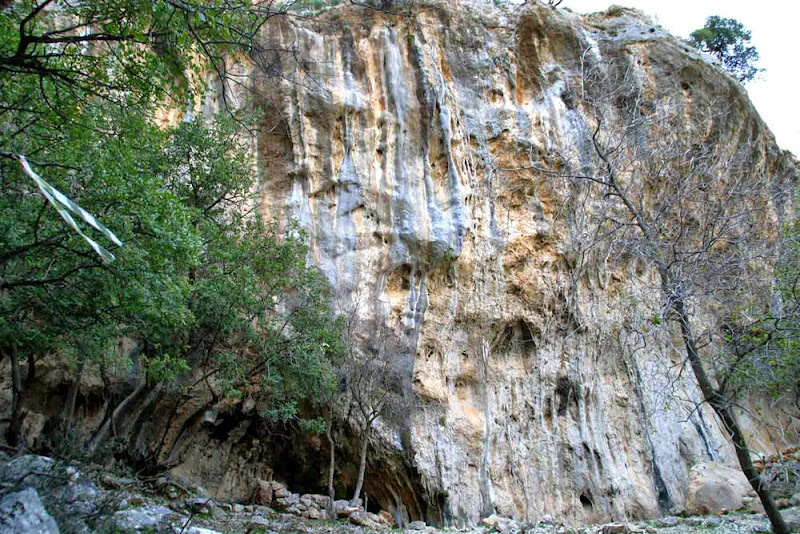 According to a rumour in the years 1920, famous gangsters Jerome and Al Capone did a secret trip in Greece (Jerome was from Harakas near Kyparissi), they came to Leonidio and stayed “above the city in a little house against the rock “… nobody know exactly where, maybe the house -now a ruin- at the base of Aresos?